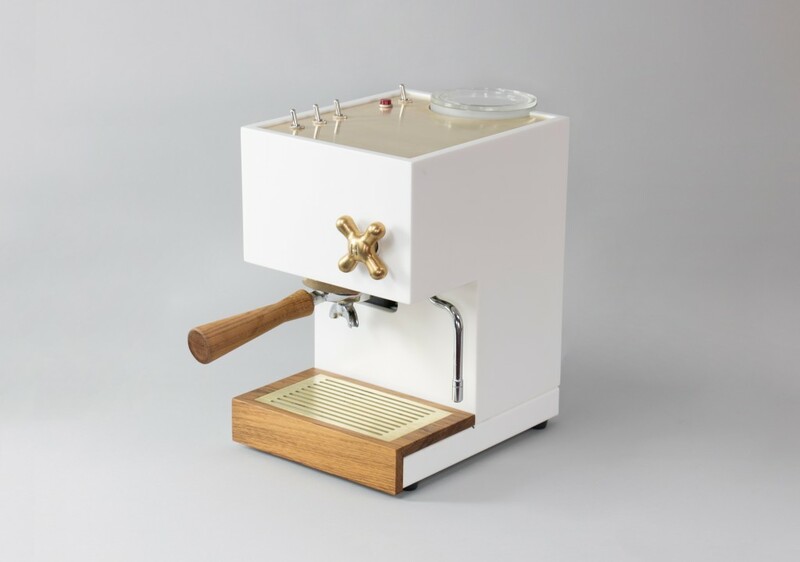 This is the AnZa, a home espresso machine from the minds at Montaag—a multi-disciplinary design firm that keep offices in both Norway and Berkeley, California. The team here has worked on a dramatic range of projects, from consumer tech devices and HiFi speakers to cafe interiors and futuristic ocean vessels. They also love coffee. And like most designers who love coffee, they eventually turn their interest and their talents to create the coffee device of their dreams. In this case, the result is an experiment in textures and materials that you don’t often see used for kitchen appliances. 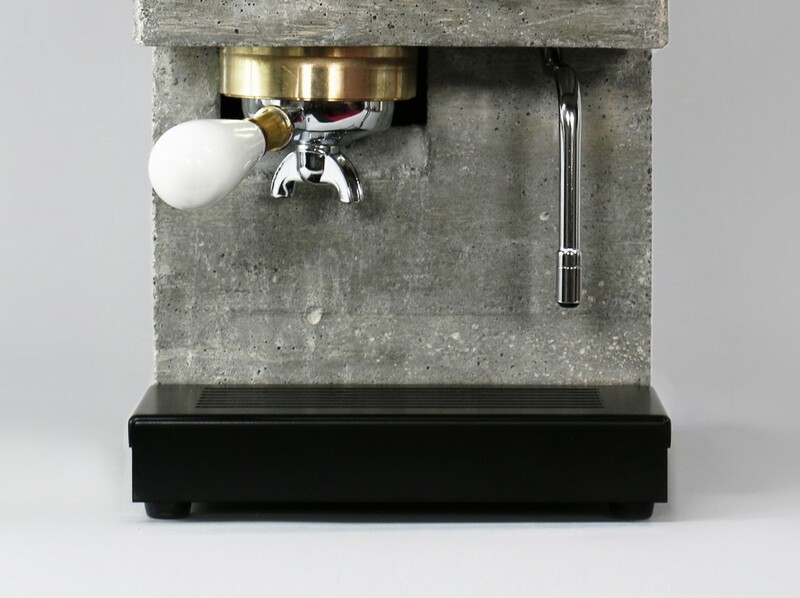 The AnZa takes a shot at the traditional vernacular of espresso machine aesthetics, while still remaining functional. It looks like it would sit more more comfortably beside well-crafted furniture than the atrocity of most home appliances and that is a big part of its appeal. 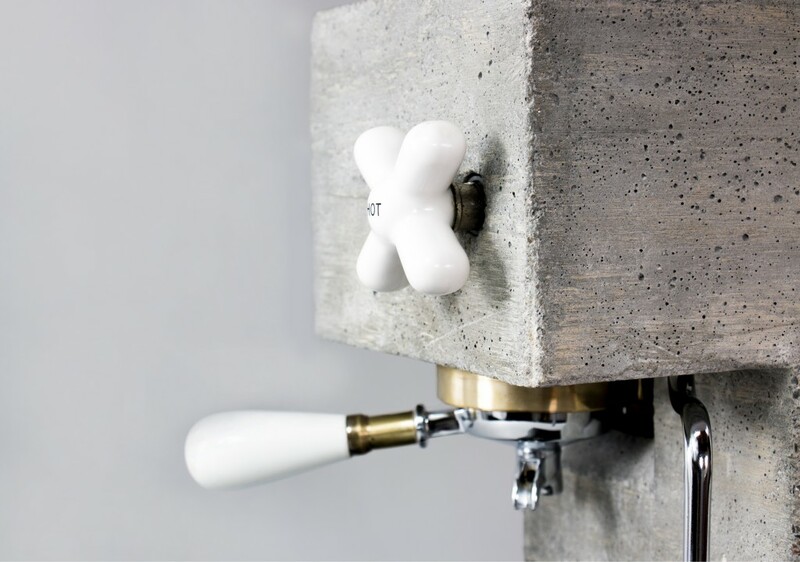 The contrast of the rough-edged concrete with white accents are finessed and balanced, while the industrial pole switches remind me of flicking on a guitar amp. So you can, you know, turn your espresso game up to 11 (I tried not to). 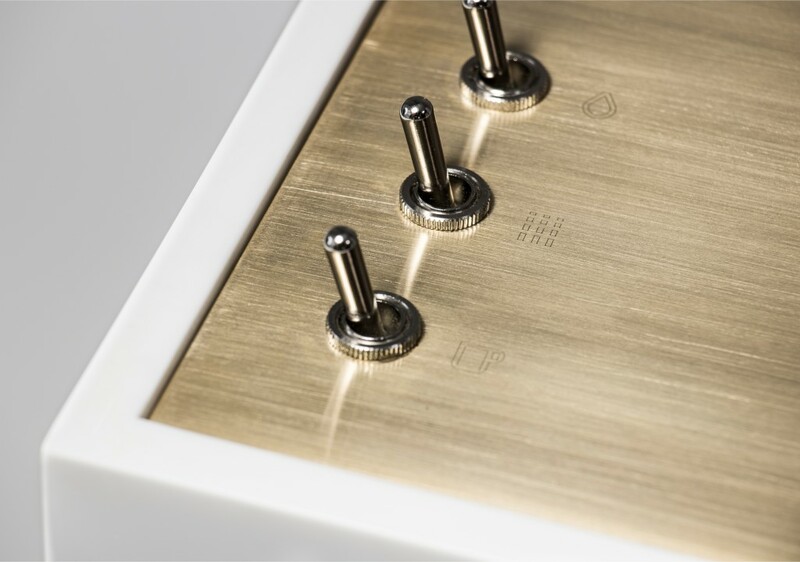 For the brutalist in me, I was immediately drawn to the concrete version of the AnZa when I first saw the early prototypes on design blogs a couple years ago, but it will also come in a more luxurious looking white Corian version with brass accents. 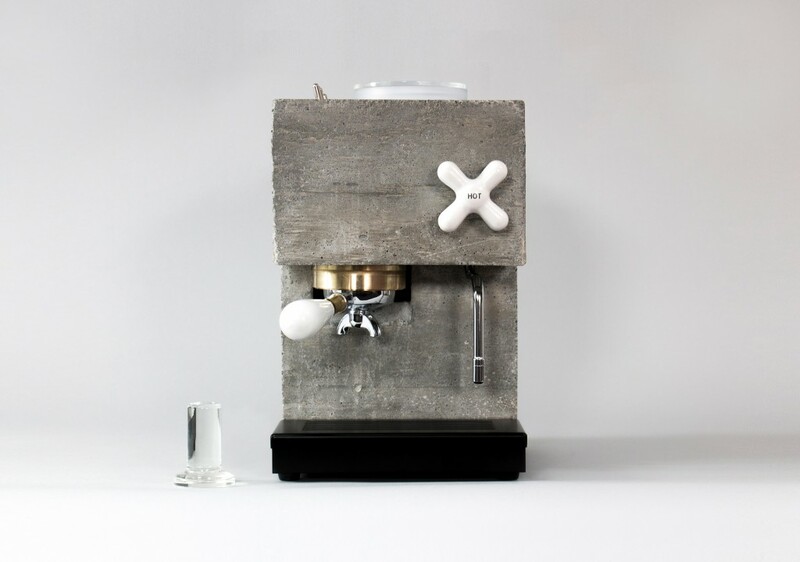 For four years, the designers at Montaag have continued refining their prototype and began working with a friend who has extensive experience with manufacturing home coffee appliances to transform their exclusive hand-built novelties into a capable home machine that can be mass-produced and sold to design-loving espresso geeks. I met with one of Montaag’s colleagues in Oslo earlier this year while they were testing out a functioning stainless steel model in the back room of Java Espressobar. Although the grinder being used was more advanced than most home users have access to (Mazzer), the resulting espresso and milk was on par with what I’ve had from other home espresso machines like the Rancilio Silvia and Brevillle Dual Boiler. Despite its capabilities, I stand by my recommendation that most people shouldn’t even bother with the complexity and cost of making espresso at home and simply find a great local shop who can meet their espresso needs with a $20,000 set-up and skilled baristas. But hey, everyone has their thing. For more information on the technical specifications, I got in touch with Henrik Alfredsen at Montaag who shared a bit more information on the AnZa and what’s underneath their designer shells. The AnZa is only single boiler machine, so you will need to alternate between pulling shots and steaming milk, and it will retail for about $1500-$2000 after it has launched. 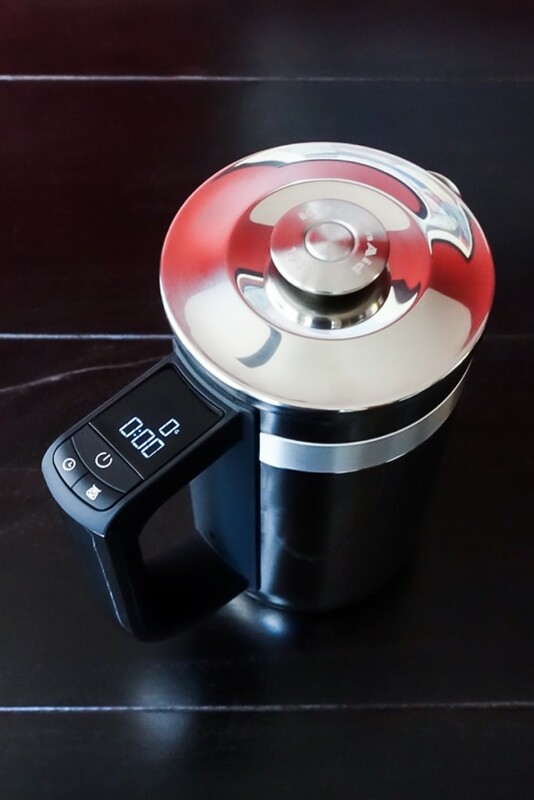 Alfredsen said the machine will use a 15 bar ULKA pump and pressure gauge, and its stainless steel boiler will have electronic temperature control (DIP) with a fixed brewing temperature of 93C (199.4F) that’s positioned directly on top of the portafilter to avoid temperature loss. 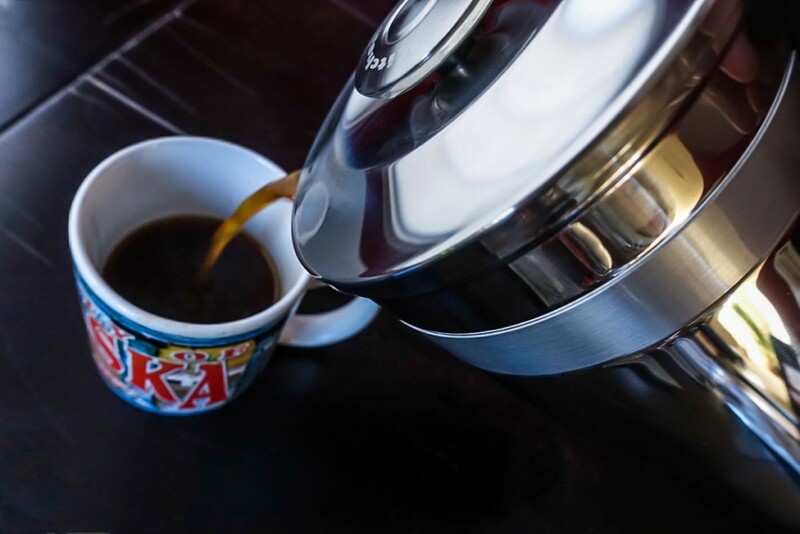 The AnZa will draw 1350W and comes with a standard sized 58mm portafilter. The flexible steam wand is controlled by an old fashioned-style faucet knob and it will have a removable tip in case you want to upgrade from the standard 3-hole version that’s included. Once the AnZa has been finalized for mass production, the company will be taking pre-orders through Kickstarter in August (with a delivery date estimated for early 2018). 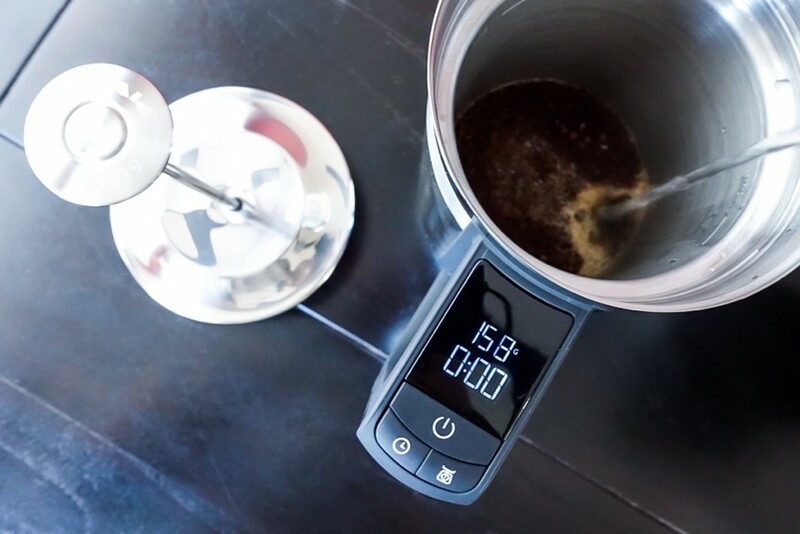 Even though it can be incredibly risky in the world of expensive coffee equipment, crowd-funding seems to have become the de-facto method of launching new products for small companies. Although there have been a few coffee success stories, like the Acaia scales and Fellow kettles, it’s good to keep the risks associated in mind when funding this kind of large-scale manufacturing endeavor. If the AnZa can live up to its claims, it will make a wonderful option for home espresso enthusiasts that are looking for a well-designed machine on a smaller budget, a category that doesn’t currently offer many choices. If you can’t afford a La Marzocco Linea Mini, Slayer Single Group, or a Kees Van Der Westen Speedster, it’s unlikely that your espresso machine will look good, let alone start many conversations in your kitchen, but the ambitious team behind the AnZa hopes to change that soon. 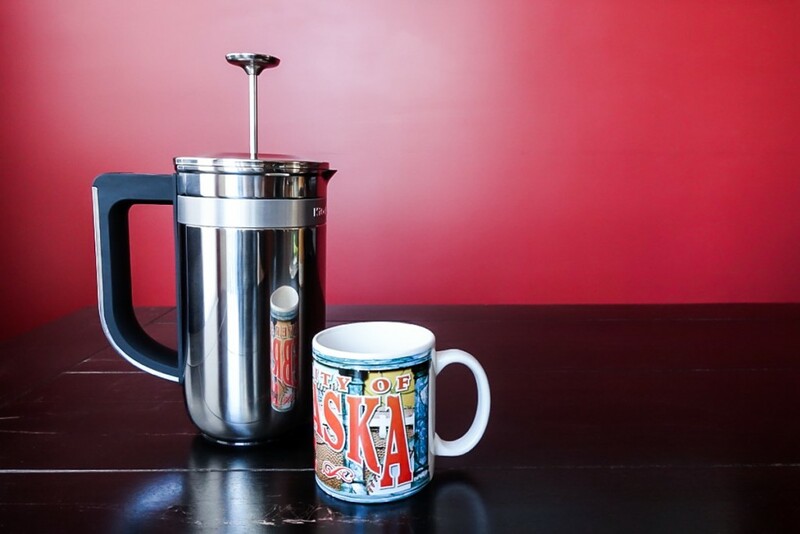 The French Press, my personal gateway to home brewing, is often overlooked because it seems so archaic, so basic, so much less exciting than pour over. Also, the resulting cup is far less clean than coffee made with paper filters. But it can still be incredibly delicious and it’s so simple to use. 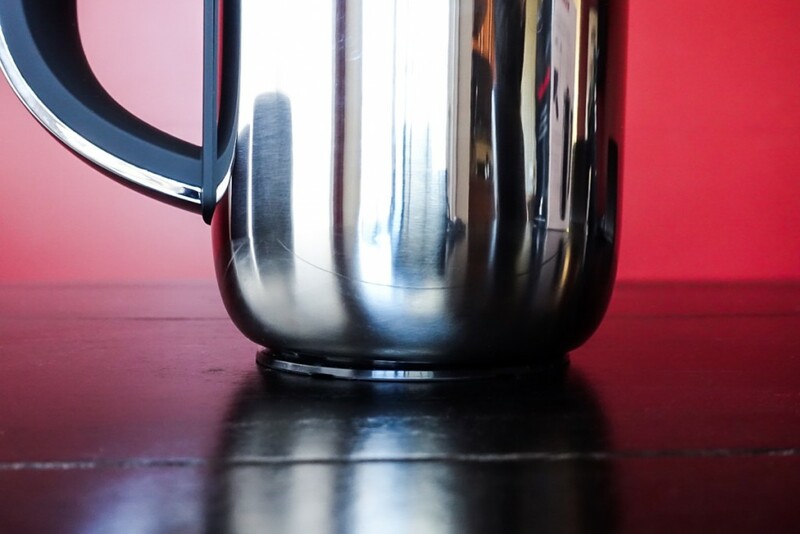 You can also do a few things differently when using a French Press that will help reduce the gritty sediment that most people dislike about this brew method. James Hoffmann made a nice tutorial video about his technique. 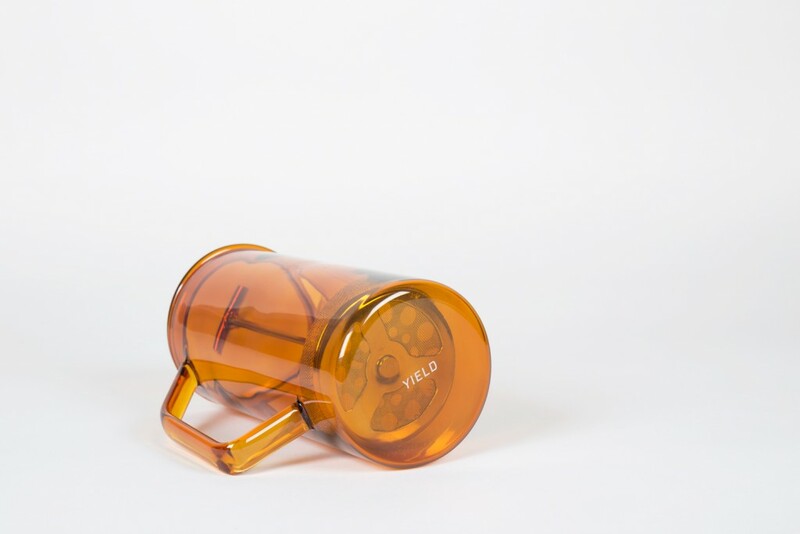 But no matter how you brew your coffee or personally feel about the French Press, design and glassware aficionados alike will love this glass interpretation of the French Press from the Florida-Based design company, Yield. I’ve admired their ceramic version for years, but I have never had the need to buy one. 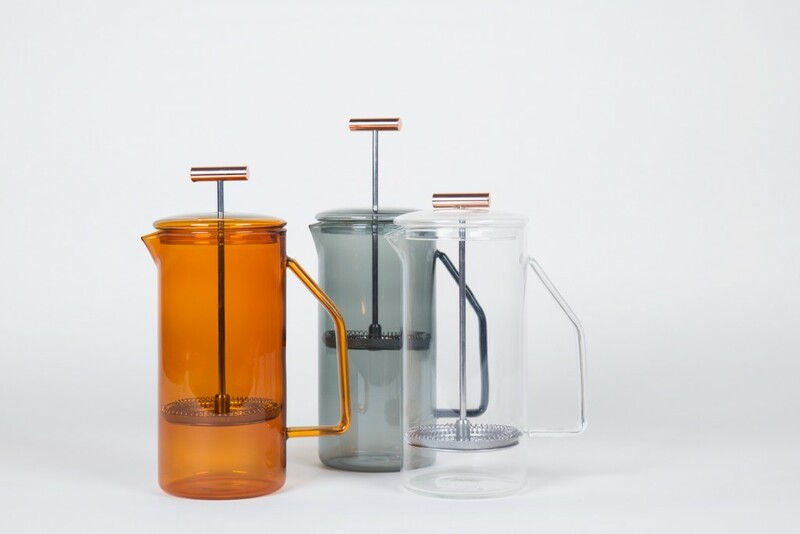 This glass adaptation however makes me reconsider my “needs.” Functionally, it works like every other standard French Press out there (with exception to the Espro Press), but aesthetically, it has very few equals. But for your wallet’s sake—please don’t break it ($85). 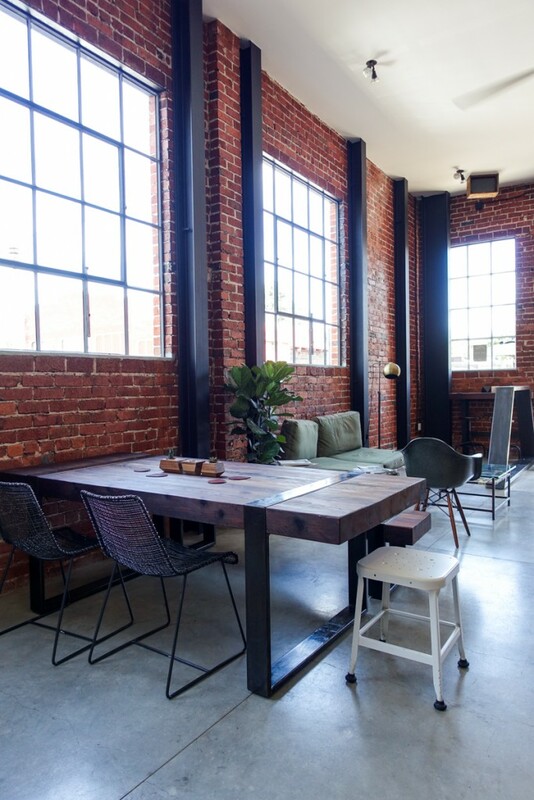 Yield was originally founded in San Francisco by two former California College of the Arts (CCA) students. Rachel Gant and her partner Andrew Deming, who have continued to beautifully re-design classic items that we use in our everyday lives (major tote bag envy) with high quality craft and materials. Many of the products are incredibly simple and classic looking, but they still present a unique style that has landed them in places like the SFMoMA shop and other contemporary art museums around the world. Yield makes products that cost more, but last longer and that’s how I prefer to shop. 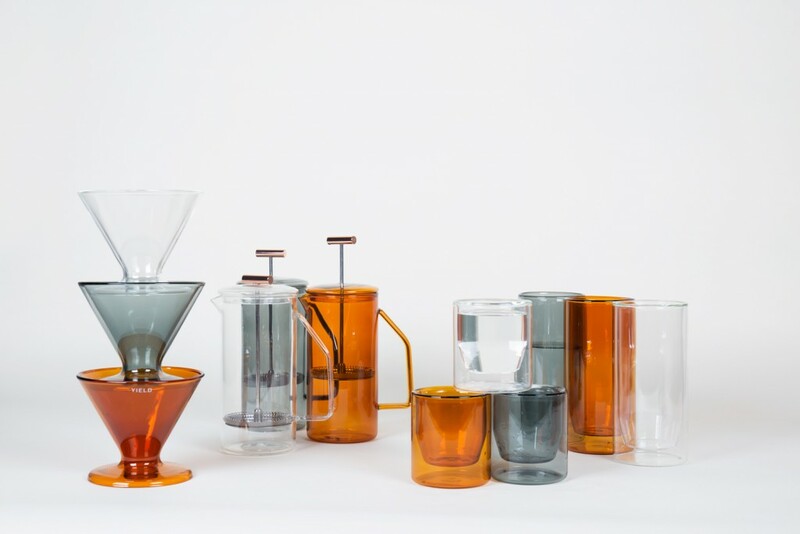 The press pots are part of a more extensive line of new glassware products from Yield that include double-wall V60-style pour over cones and some gorgeous double-wall drinking glasses. The whole range is available in three colors—amber, grey, and clear—and deciding which color I like the most is something I can’t deal with right now. Sip, scroll, and enjoy all of the photos below. All photos copyright © Yield Design. 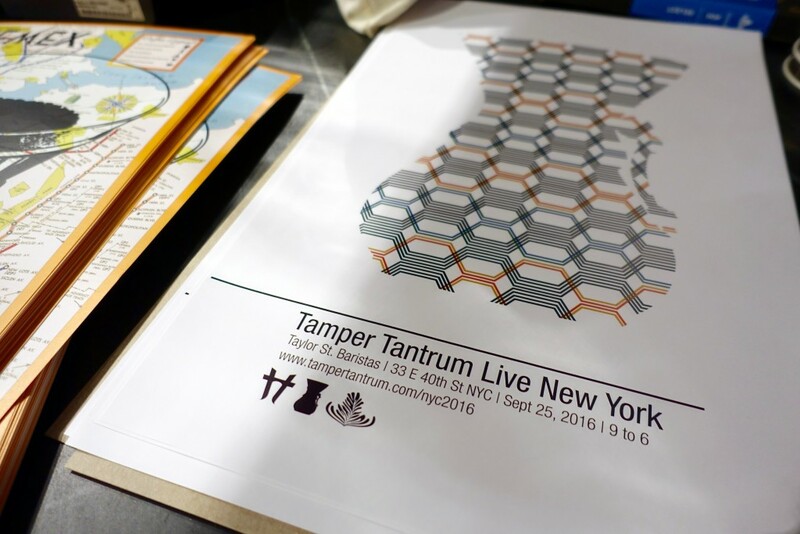 Last weekend the team from Tamper Tantrum took over the Taylor Street café in midtown Manhattan and packed it with over 100 coffee professionals to mark their very first event in the United States. 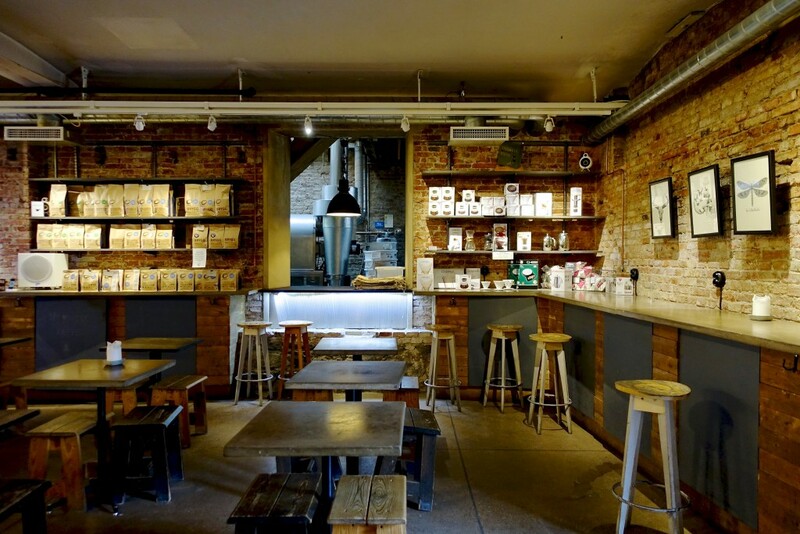 There are several coffee-based lecture series that now take place around the world, but Tamper Tantrum is one of the longest running and well known, especially in Europe where it was started. 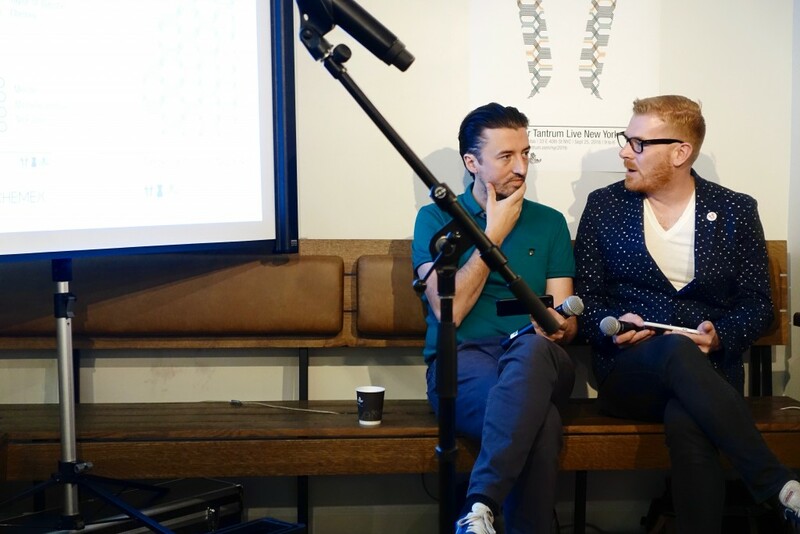 What began as a podcast by Colin Harmon (of Ireland’s 3FE) and Stephen Leighton (of UK’s Has Bean) in 2009 has turned into one of the world’s premier live coffee talk shows. 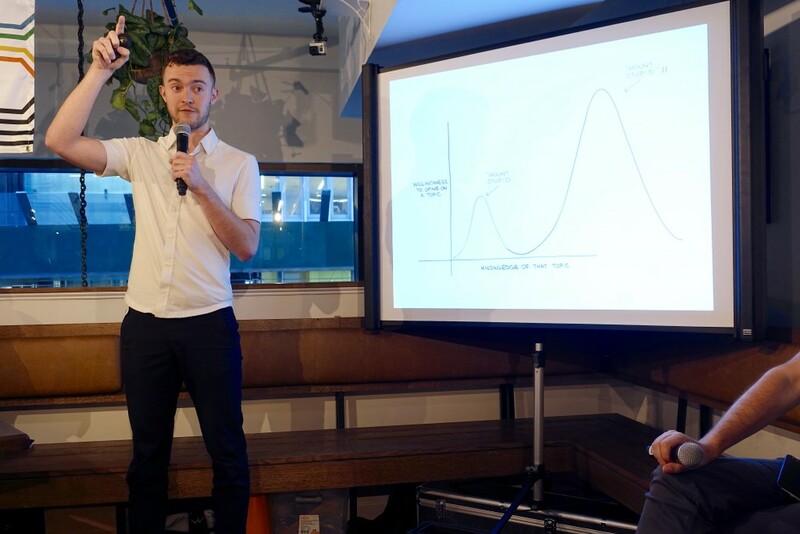 During each event Colin and Stephen turn over their soapbox to other coffee industry professionals who give 20 minute talks about whatever is on their mind. After each speaker has their say, a moderated discussion takes place allowing the audience to ask questions or share their own thoughts on the subject. 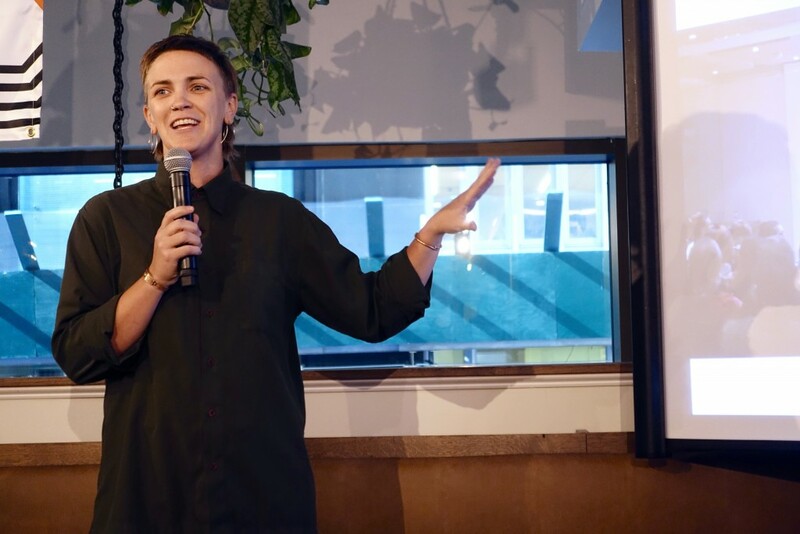 The speaker line-up for New York’s event was a balanced roster that included some very well-known industry veterans alongside others who were giving their debut public talks. 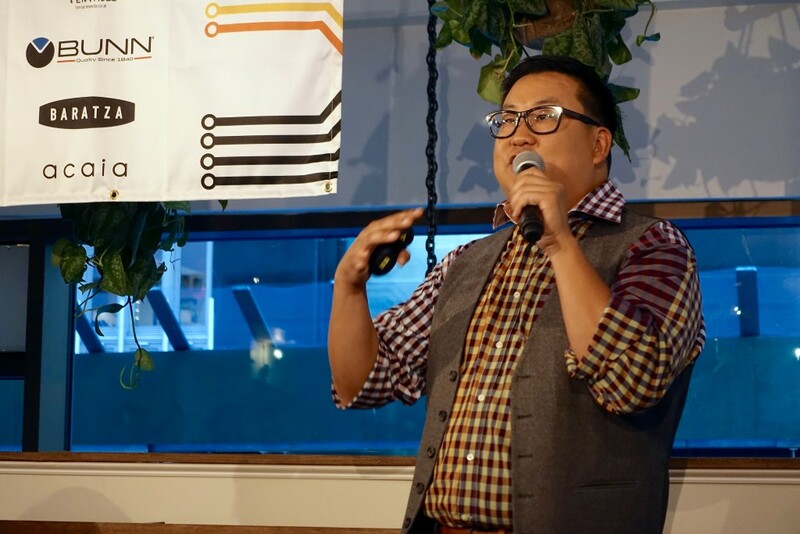 But no matter their resume, everyone delivered spectacularly on a range of important topics that are often overlooked at coffee industry events that included diversity, employee power dynamics, going beyond quality, healthy amounts of ambition, cognitive bias, and Nick Cho. 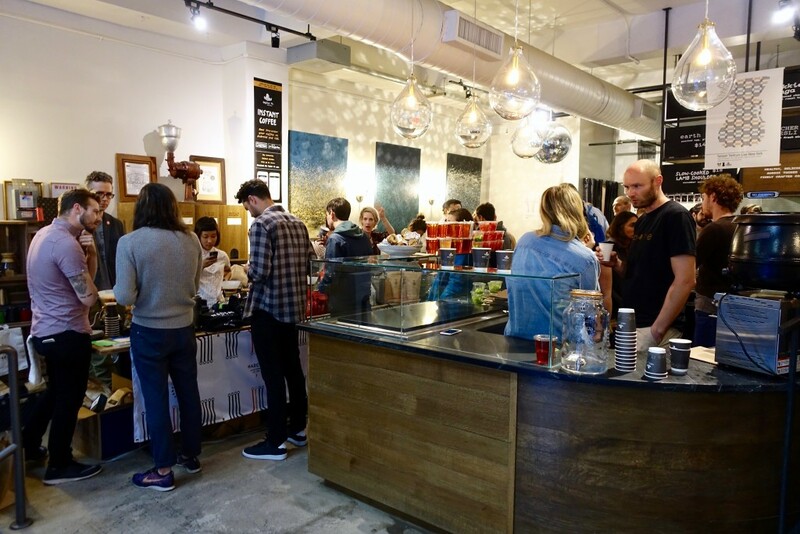 In between the discussions taking place in the loft upstairs, a Chemex-sponsored brew bar had popped up in the café below where a team of baristas served coffee from a range of roasters that included Counter Culture, Intelligentsia, Neat, Madcap, Irving Farm and Nobletree. The space was cosy, but lively and full of diverse viewpoints that surely had everyone’s brain working overtime. Based on the success of this inaugural US event, it likely won’t be the last Tamper Tantrum on this side of the pond. So if you couldn’t make the New York event, hold fast and keep a look-out for future live events. Also, all of the lectures in NYC were filmed and will be released for the public to watch in the coming weeks and months. If you’re new to Tamper Tantrum, there is an archive of great videos from previous events (including my recent favorite talk with former World Barista Champion, Stephen Morrissey), which you can watch for free at Tamper Tantrum. Below is a short summary of each speaker and their talks that took place in New York. The grand finale of the day was a debate over the merits of coffee competitions—dead or not dead—which you will need to wait for the video to fully appreciate it and find out which side won. 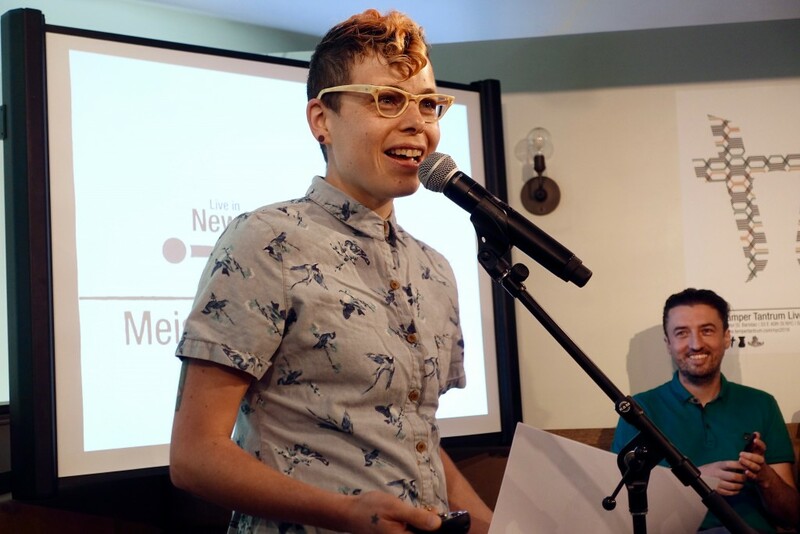 Meister (@NotJustMeister) writes about coffee, debates others about coffee in her podcast Opposites Extract, and has been working with coffee in different capacities for almost 16 years, most recently at Café Imports in Minneapolis. During her talk, Meister discussed how we define ambition in the coffee industry, asking what motivates us and what really makes us special? After divulging that studies suggest that highly ambitious people aren’t happier and that less driven people are more content we should consider what type of ambition is healthy in an industry that doesn’t always provide healthcare and support for the high stress involved. Instead of looking at ambition as hero’s trophies, it should align more with your personal mission. So she asks us as individuals to determine our motivation in this industry and use that as a personal yardstick to measure success. Michelle Johnson (@meeshal) is an independent coffee professional who lives in Phoenix and works at a creative firm between organizing community coffee events and writing from her perspective as a person of color working in the coffee industry, which has plenty of diversity challenges. 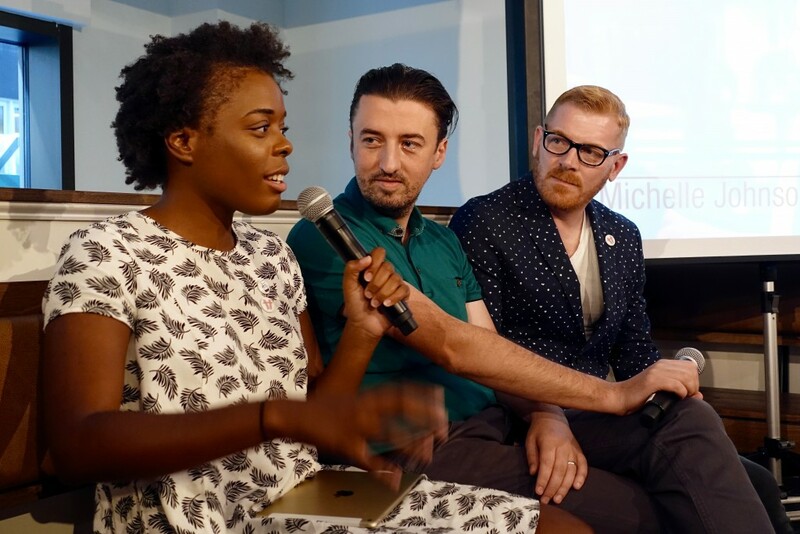 Meesh used the opportunity to talk candidly with the audience about her personal experience as well as about the changes she hopes can be made quickly to create a more inclusive industry. She pointed out how progressive the industry is and how quickly it is currently evolving, which should make it much easier to implement real change right now. From changing how we hire to how we evaluate staff. Why do we need diversity, she asks? New and fresh ideas, perspectives and innovation to start. We were different a year ago and we will be different again next year. In the meantime, we should work to end stereotyping, implicit bias, tokenism and covert racism. She also argues for more diversity in hiring staff—pointing out that when the industry hires based only on experience, it perpetuates the white male majority within the industry. Instead, hire for personality and potential. 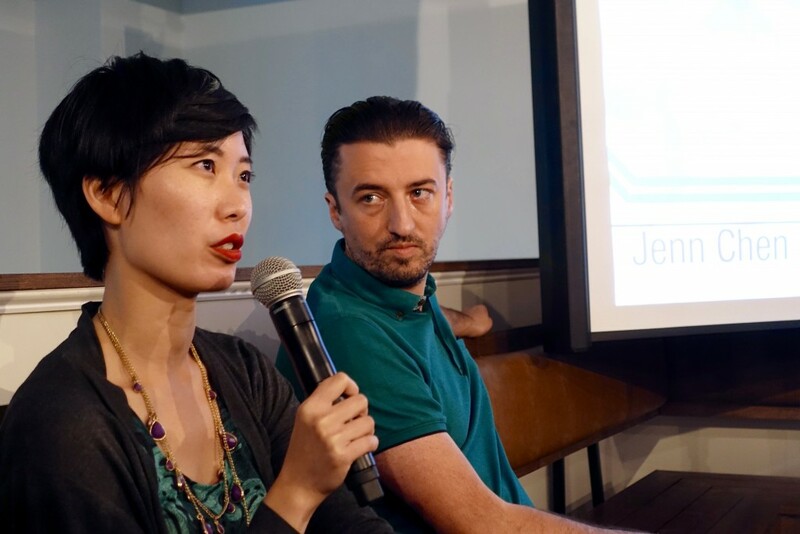 Jenn Chen (@thejennchen) is a coffee marketer based in San Francisco, who uses well-crafted communication to get a company’s message out to their audience online. 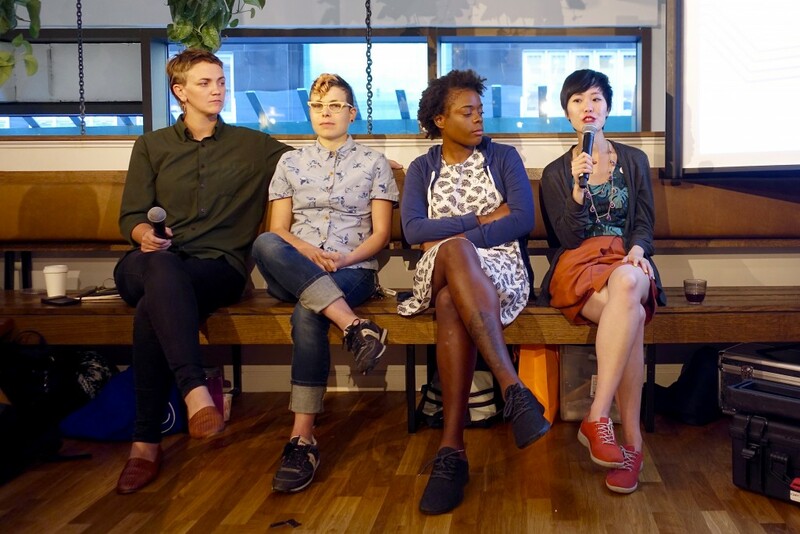 She organizes coffee events around San Francisco with the Bay Area Coffee Community and has helped lead an important discussion about diversity and sexism in the coffee industry. At the event she talked about power dynamics in the coffee industry and how it affects the careers of those working in it. After defining what is meant by power dynamics, Jenn shared several anonymous stories about actual situations that workers in the coffee industry have to deal with constantly and could often be resolved with better dynamics among colleagues, employer & employee, customer & barista and peer to peer. She followed up the examples with tips that might have prevented them. Colleen Anunu (@anunumous) is the Sr. 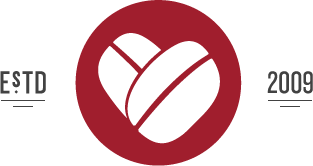 Manager of Coffee Supply for Fair Trade USA and specializes in impact evaluation and market access strategies for coffee producers and roasters, emphasizing shared value, gender equity and farmer-first community development. Colleen wanted to talk with the audience about going beyond quality and challenging coffee professionals to also consider other things that matter in the industry. How do we trace coffee better and ensure that coffee is profitable in the long run? She asserted that we don’t know the true cost of coffee or the real investment needed to actually produce higher quality and further, that we often don’t know what the higher green costs or our relationships are actually doing for farmers. We should stop mythologizing our industry so we can make real change for growers. Colleen ended with some shared principles & values that she hopes the industry will commit to—actionable transparency, credible accountability and honest emotional equity. Matt Perger (@mattperger) has won a bunch of coffee competitions (even when he hasn’t) and created a growing coffee knowledge empire called Barista Hustle where he shares information focused on his mission of consistency, accuracy and deliciousness. This isn’t Matt’s first Tamper Tantrum and this time around he talked about our shortcomings as human beings due to bias. He outlined very types of bias and how it affects us. Beginning with cognitive bias, i.e. the bandwagon effect. Anchoring bias, or placing too much weight on one specific detail. Saliency bias. Illusory Correlation. Congruency Bias. Confirmation Bias. Choice supportive bias, and so on. All of this was meant to show us that we don’t know what we don’t know and we’re sitting atop Mount Stupid. Matt then went on to discuss the need for real, balanced criticism to help the industry grow. Less back patting and more real talk. He suggested we stop giving empty compliments and instead help each other do better. We can choose to disagree, but we can never learn if we don’t know. Nick Cho (@nickcho) is the founder of Murky Coffee, which opened in 2002 in Washington D.C. and emerged as one of the pioneering third-wave cafes on the east coast. Five years ago, Nick and his wife Trish Rothgeb co-founded Wrecking Ball Coffee Roasters in San Francisco and Nick has continued to be a leader in the industry through his work on several organization boards, committees, and twitter. Nick’s talk began by asking the audience what the biggest problem is in specialty coffee. After pointing out all of the successes that the industry has had, like specialty coffee being trendy as ever and that the industry growth likely ensures that it’s not going anywhere soon. So what’s the biggest problem—Climate change? What could be bigger? Nick believes the lack of institutionalized education in coffee is the problem. We don’t have checks and balances. All the knowledge we have about specialty coffee could be taught in a few weeks. Nick believes we’re past the point of relying on blogs and forums and Twitter for knowledge and we need something more concrete. Next, he moves on to discuss the information gap in coffee companies, saying that if you’re a highly skilled expert in green buying or roasting or brewing, you need to have knowledge in the other areas to fully understand how to do it well. He argues that an orchestra doesn’t have three conductors, so a quality focused coffee company shouldn’t either. Could coffee degree programs create better coffee employees? Maybe. We all want to get better, individually and collectively. But what does that actually mean? You can check out all of the event photos on Facebook and read the live tweets on Twitter. This week DCILY turned 6 years old (which is kind of crazy to think about) but that also means that it’s time to inspire you with holiday gift ideas for all of the coffee lovers in your life. 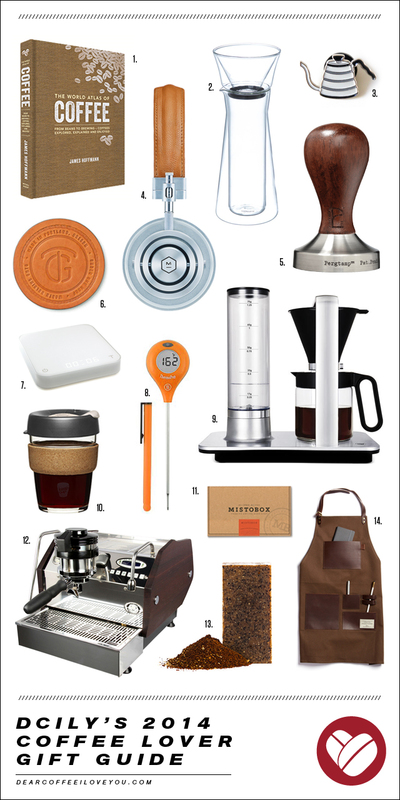 Although it has been pretty quiet around here, DCILY is still dedicated to making the best coffee lover gift guide on the internet. So just like in years past, grab a fresh brewed cup (and your wish list) and enjoy this 2015 edition of DCILY’s Coffee Lover Gift Guide™. 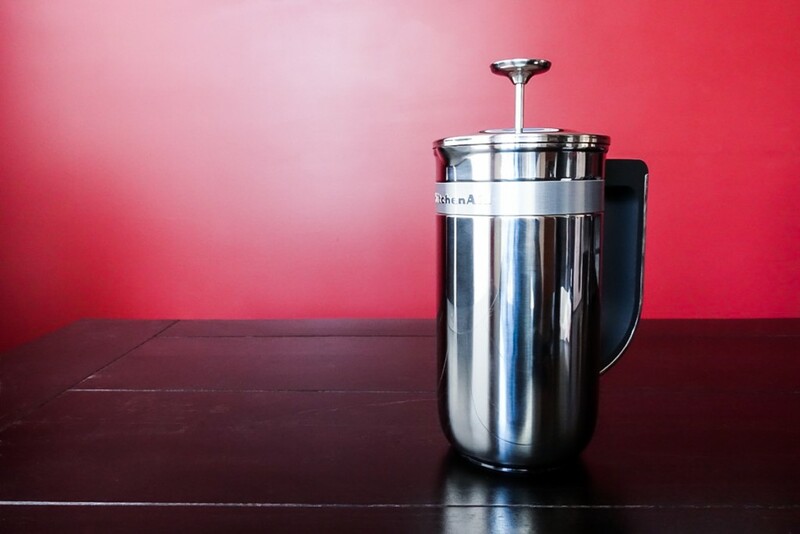 It’s been over four years since I wrote about the simple joy of brewing coffee with a French press. During that time a lot has happened in the world of coffee and every day more people discover the pleasure of brewing high quality, fresh roasted coffee at home. With all the changes taking place, I’m still a strong believer in the humble press pot as a gateway to better coffee brewing and appreciation. 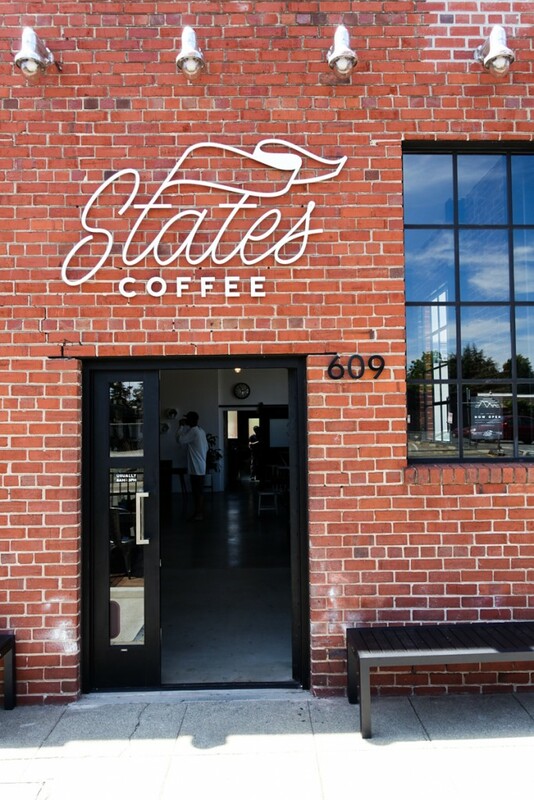 In the last couple of months, two of the companies that pioneered specialty “third wave” coffee, Stumptown and Intelligentsia, were both purchased by Peet’s Coffee & Tea. If an acquisition by one of the largest coffee chains in the world is an indicator of anything, it suggests that there is growing demand and a much larger market for high quality coffee than many people realize. 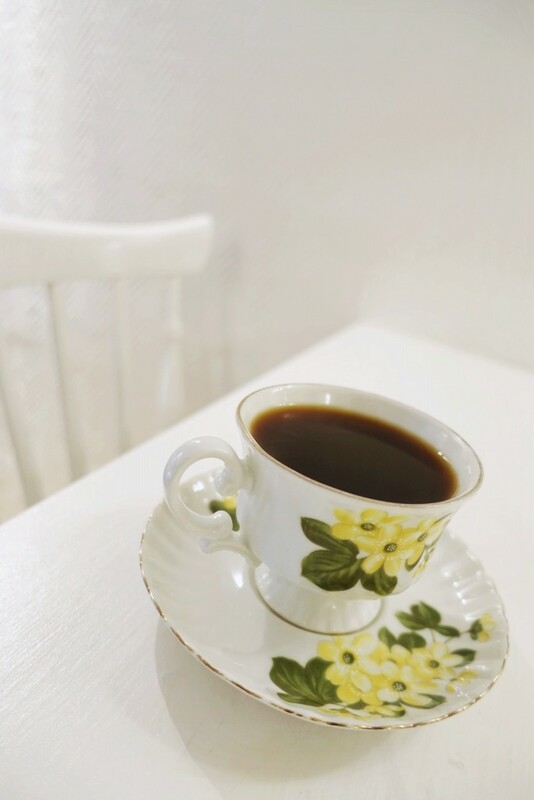 Following that same acknowledgement, large houseware companies have also taken notice and begun releasing new products with features that target quality conscious coffee consumers. KitchenAid, the maker of the iconic stand mixer, is a global brand that has been selling appliances for kitchens since 1919 and they are now reaching out to the world of specialty coffee with a line of new “craft coffee” products. 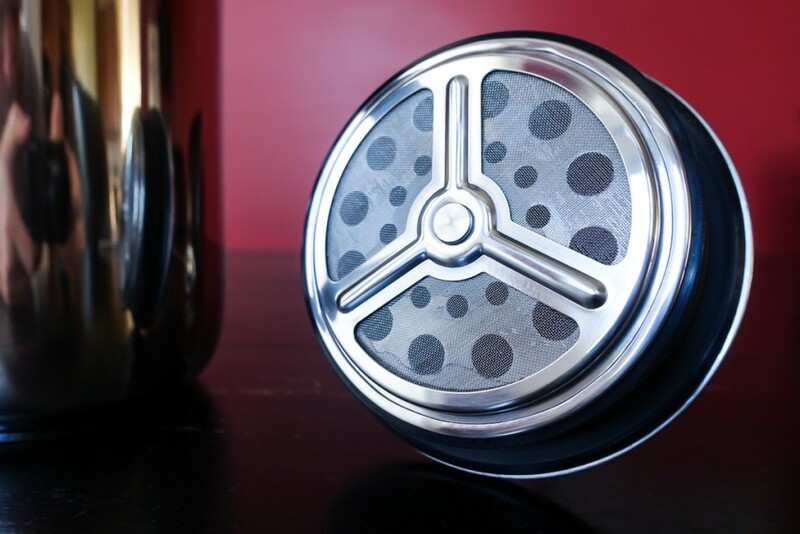 The range includes a sturdy looking burr grinder, a “pour over” inspired auto drip, an electric syphon contraption, a home espresso machine, and the Precision (French) Press, which I thought was the most interesting product in the new line-up. I’m typically skeptical of new coffee products made by companies outside of the specialty industry, but occasionally something will pique my interest enough for me to explore it further. KitchenAid sent me the new Precision Press and I wanted to share my experience using it and my thoughts about the unique position for it in the growing coffee market. The French press was how I first began brewing coffee at home and that nostalgia is where part of my affinity for the brew method comes from. Although I now prefer the clean body and flavor profile that comes from paper filters, the press pot still produces a drink that’s more reminiscent of a cupping and provides the heavier mouthfeel that can help support someones transition to lighter roasted specialty coffees. 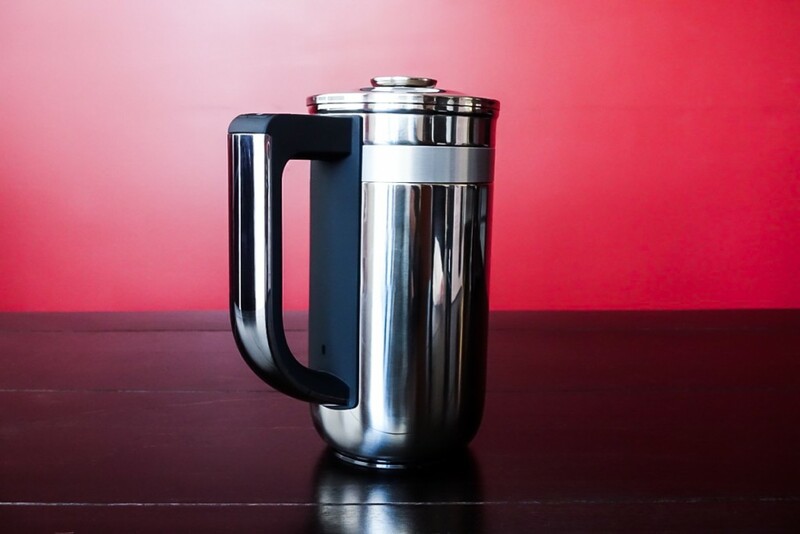 It’s also an incredibly approachable way to make coffee without much effort. Drop in coffee grounds, pour hot water over top, wait a few minutes and press. 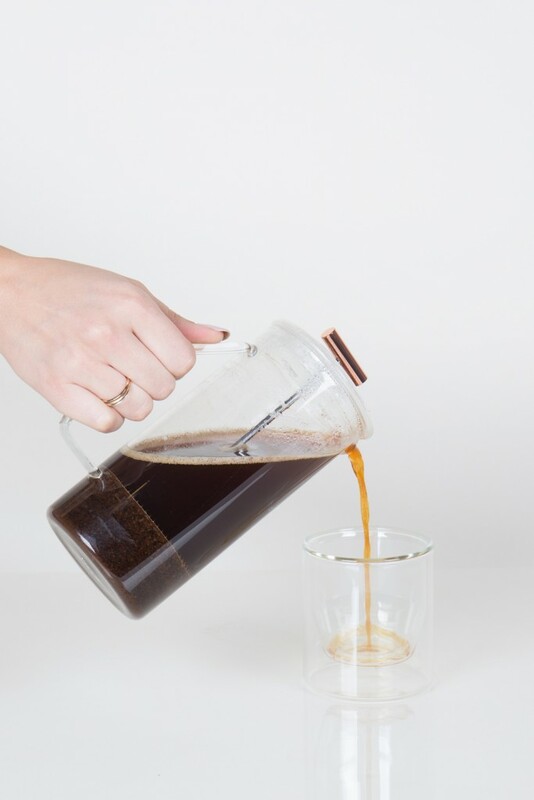 No special filters, no special kettles, no pour over balancing acts—it’s simple and that’s why it’s still a popular way to brew coffee among so many people, even if they don’t care about the quality of the coffee itself—yet. 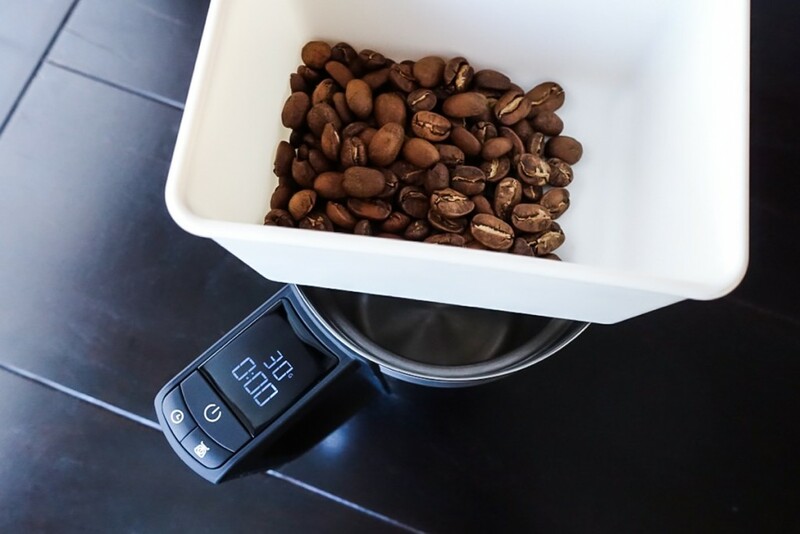 When I recommend how to get the best coffee experience at home, there’s a list of things I suggest having: fresh roasted coffee from a quality roaster, a good burr grinder, a brew method of choice, clean water, a timer, and a scale. By time I get to the scale, most people begin to feel overwhelmed. A scale often seems like a step too far for many people. It pushes them over the edge from an everyday coffee lover to a pretentious coffee snob. The scale tends to be viewed as an unwieldy, time consuming, and uneccessary step. Trying to explain the importance of consistency and differences in bean density and variety size will be greeted with a look of sheer confusion. 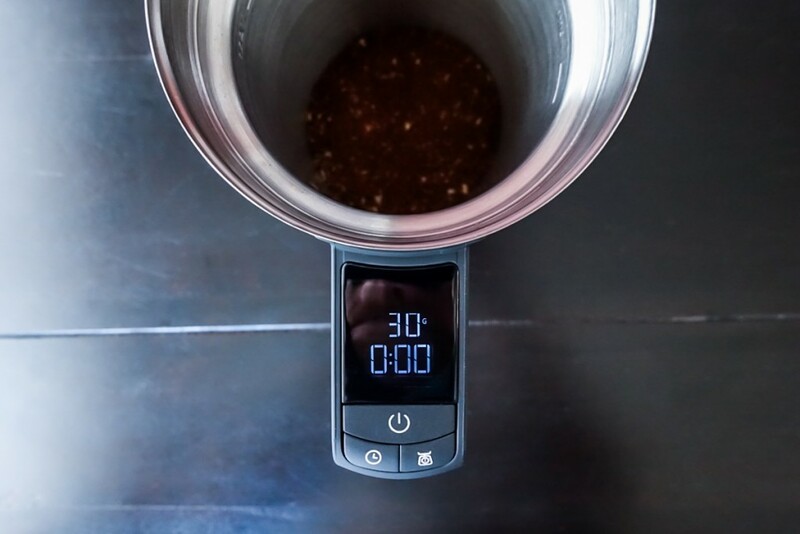 Despite the off-putting nature of using a scale, coffee professionals know how important it is for brewing better coffee and being consistent from cup to cup, the same way a good baker will measure their ingredients by weight rather than volume. The KitchenAid Precision Press has helped bridge the divide by integrating a scale and a timer into the pot itself. 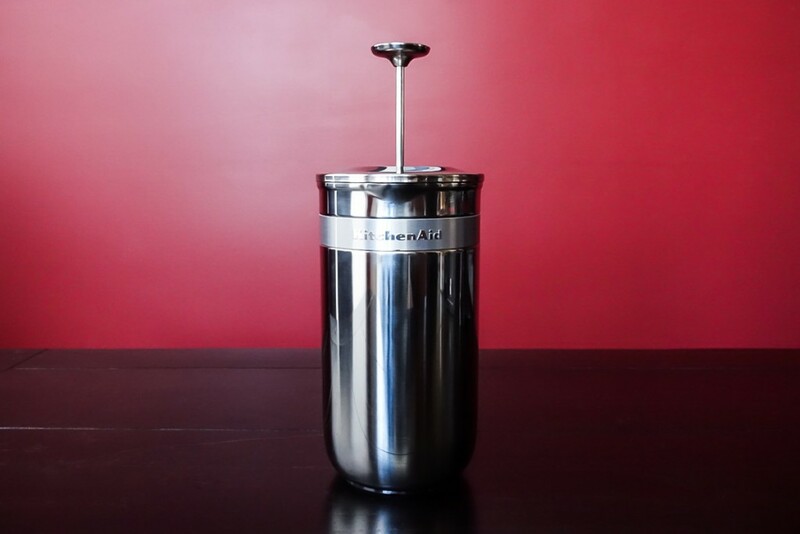 Meaning the only other significant tool you would need for brewing great coffee, other than hot water, is a grinder—simplifying the process. The Precision Press is made from double walled stainless steel which adds heat insulation and prevents you from having to replace the millions of glass beakers that you will inevitably break otherwise. It has a capacity of 25oz (.74L) which falls short for larger dinner parties, but it is much more practical for every day use. The plunger, which filters the coffee, has a much more robust design than that you will see on cheaper press pots. The steel filter mesh is reinforced with a steel frame that I found reduces the sediment in the cup producing a pretty clean cup as far as standard press pots are concerned. There is also a thick rubber gasket around the outer edge of the plunger which requires a bit of finesse when you first begin to plunge, although I imagine it will break-in after more use. Overall, it filters and pours the coffee pretty well on the spectrum of products already available on the market. 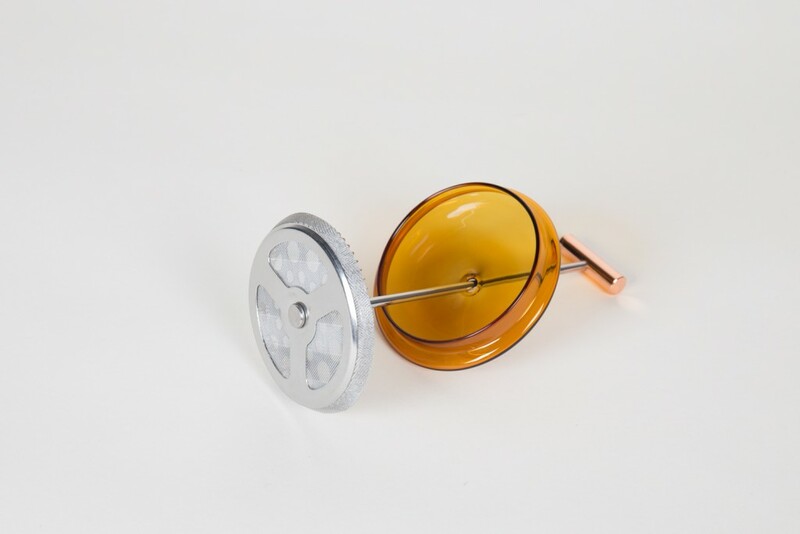 The functional element of the scale is built into the base of the pot and uses 2 AAA batteries to power it. All of the controls and the display are integrated into the rubber gripped handle; with buttons for power, timer start/stop, and tare (zero). The controls are simple and easy to use and the screen is clear and legible. 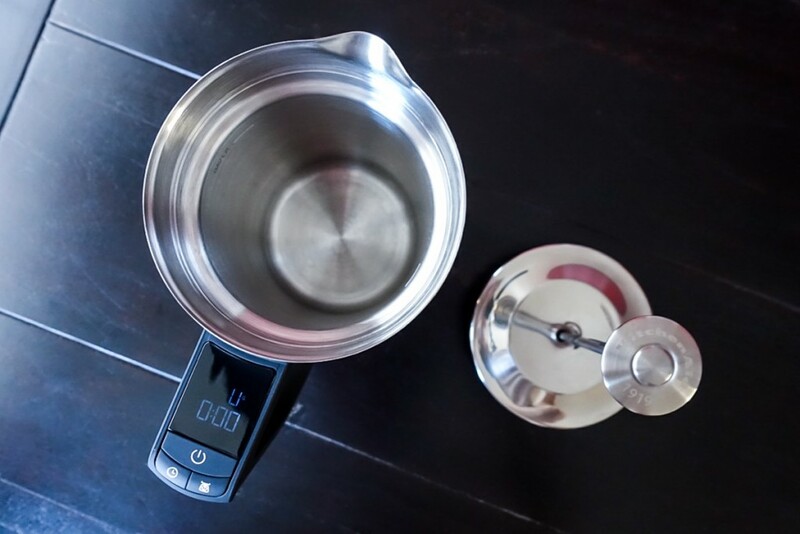 Holding the tare button for three seconds will change the measurement from grams to ounces and everything shuts off by itself after 9 minutes of being idle. The refresh rate of the scale is not as quick as the Acaia scale, but is still on par with most of its battery powered peers. There are of course a few drawbacks that should be pointed out. Some of these issues could probably be amended on future versions, but I imagine it might add more cost to the current retail price ($149) and neither of them are necessarily deal breakers. My first point of concern is the use of AAA batteries. Maybe, I’ve been spoiled by the Acaia scale, but I want all of my daily use electronics to be rechargeable, preferably with a universal USB cable. I don’t want to search for a screwdriver to change the batteries in my French press just so I can brew my morning coffee. Also, since this press pot has electronic components, it needs a bit of special attention while cleaning. The pot is not supposed to be fully submerged in water, which means that when it’s time to clean up, you’ll need to rinse it, hand wash and wipe it down with more caution than with a standard press pot, most of which can be thrown in the dishwasher. Lastly, this is more of a personal preference, the polished stainless steel exterior is lovely when you pull it out of the box for the first time, but it will never look as good ever again. Smudges galore. I would prefer one of KitchenAid’s black pearl coatings or a brushed steel finish—but that’s just the designer in me picking over the details. Ultimately, the Precision Press isn’t meant for everyone. If you already have a functioning press pot, there’s no need to run out and replace it with one of these, just buy yourself a scale. And if you’ve already crossed the bridge to home brewing and own a scale, the Precision Press is simply an extravagance. However, if you have a friend or family member you are trying to convert in the most approachable way, with as few steps and extra devices as possible, that is where this product becomes incredibly useful. The Precision Press is meant for your parents, or your vacation home, or any other uncoordinated loved ones who have no interest in balancing a stack of items on a scale before they’re fully awake in the morning. In those situations, the Precision Press will not only be useful, but also appreciated as much as the elevated cup of coffee that it makes. For updates, follow KitchenAid on Facebook, Twitter and Instagram. Resting high atop a custom built shelf at the center of States Coffee & Mercantile is a framed piece of art bestowing the advice, “work hard and be nice to people.” If you have ever had the pleasure of meeting Keith Gehrke, the owner of States, you would understand how accurately this simple screen-printed pronouncement summarizes him and all of his many endeavors. While Gehrke’s resume in coffee is quite long, he is probably best known for his company Able Brewing. 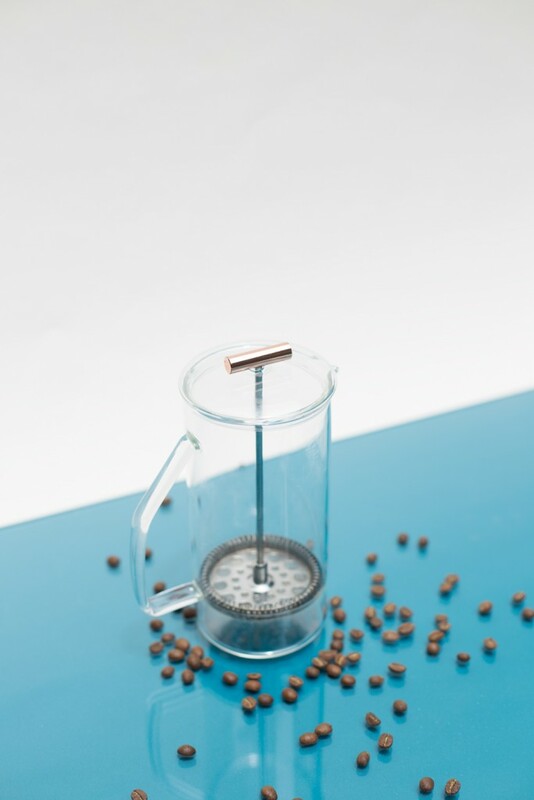 Able, just one of several coffee brands founded by Gehrke, is responsible for creating the reusable Kone and Disk filters that offer a paperless method of brewing pour-over and Aeropress coffee, along with other original accessories. Since leaving the Pacific Northwest and returning home to the East Bay a couple years ago, Gehrke has worked even harder by consulting alongside his personal projects. Last year he helped set-up a roasting program for the former Local 123 cafe (now owned by Highwire Coffee) and then proceeded to launch his own mail order coffee subscription called Pony Brand Coffee, while the plans for States Coffee took shape. The former post office in downtown Martinez, California had been undergoing renovation for the past 5-years before it was selected by Gehrke to become home to this latest project. 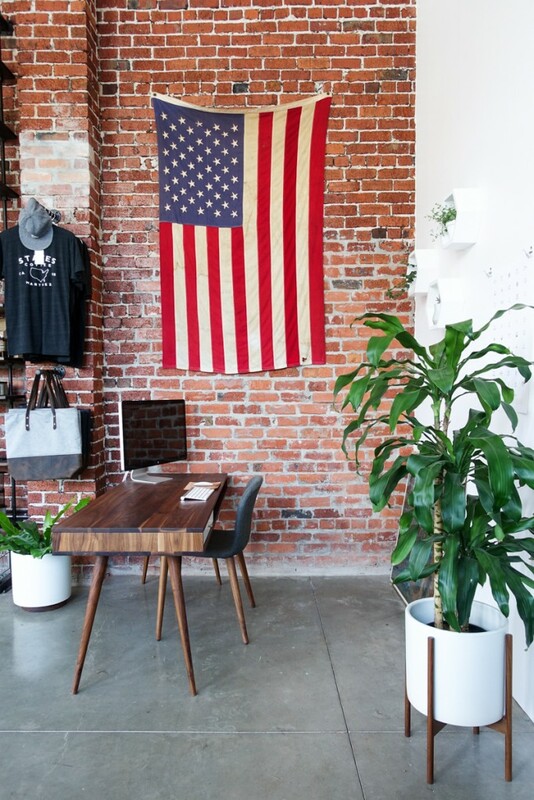 The history of the space is unique enough on its own, but it also symbolizes one of the virtues reinforced by many of Gehrke’s business decisions—that everything he sells is made in the U.S.A. 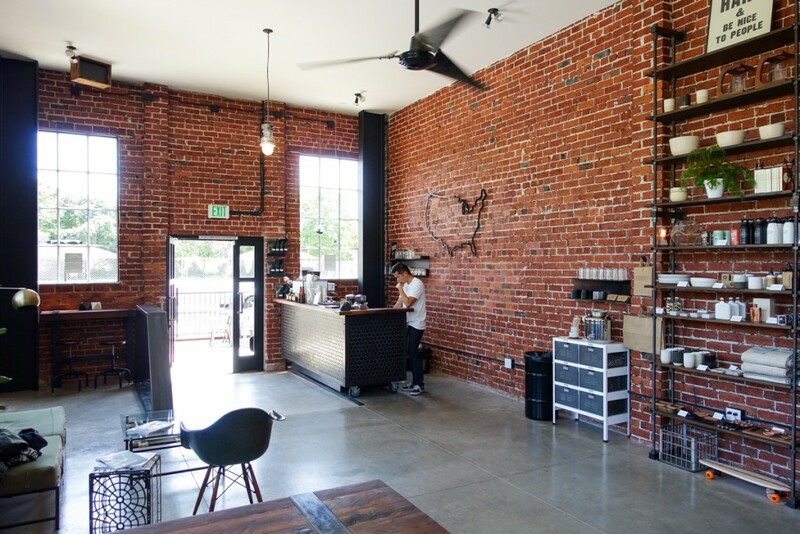 The space, once used to connect the residents of this East Bay town through its postal service, has been reborn as a community hub where the neighbors, young and old, were stopping by to congratulate Gehrke on his first week of business. As with everything Gehrke creates, he has a way of making them approachable. 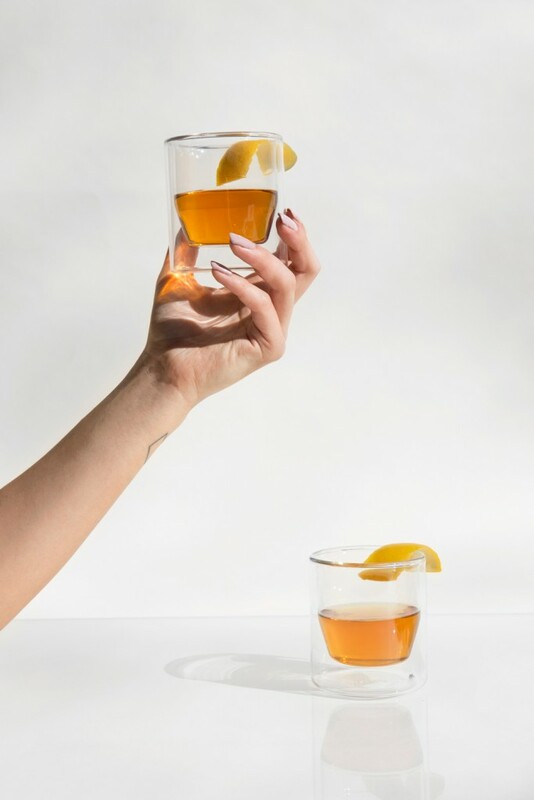 From the flavor profile of the States-branded coffee, roasted exclusively for the shop by Gehrke, to the minimal aesthetic one might find on the pages of Kinfolk magazine. Within the space, a balance is maintained that adds warmth to simplicity and offers quality without pretension. While a place like this would thrive in Portland or Brooklyn, it has been created with such care that a smaller town like Martinez will surely embrace this new addition to the town with just as much enthusiasm. The shelving, coffee bar, and redwood furniture was custom made by a James Mackessy in Boulder Creek, outside of Santa Cruz, while the round standing-height table was designed and built by Sean Woolsey in Costa Mesa—insuring most of the features of space were built in California. 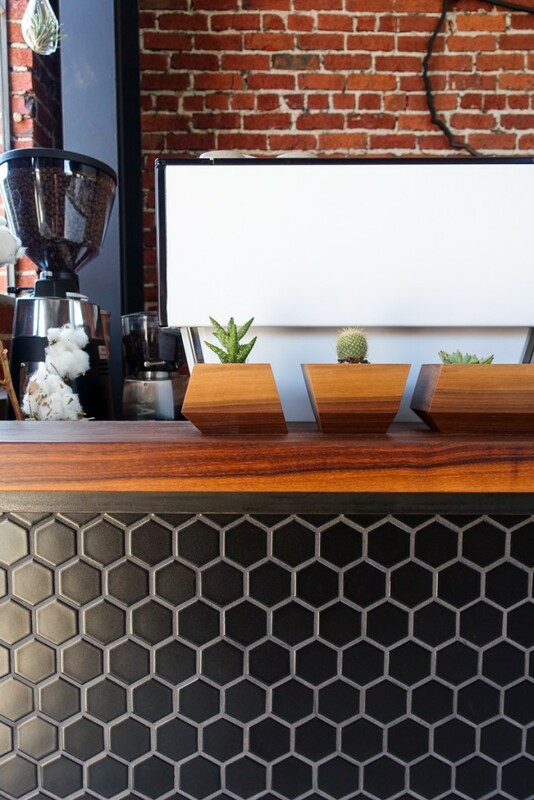 The coffee bar itself is full of custom details to maximize its function and even doubles as a fully mobile cart that can be moved from its position at the front of the space and continue functioning with its onboard water tanks. 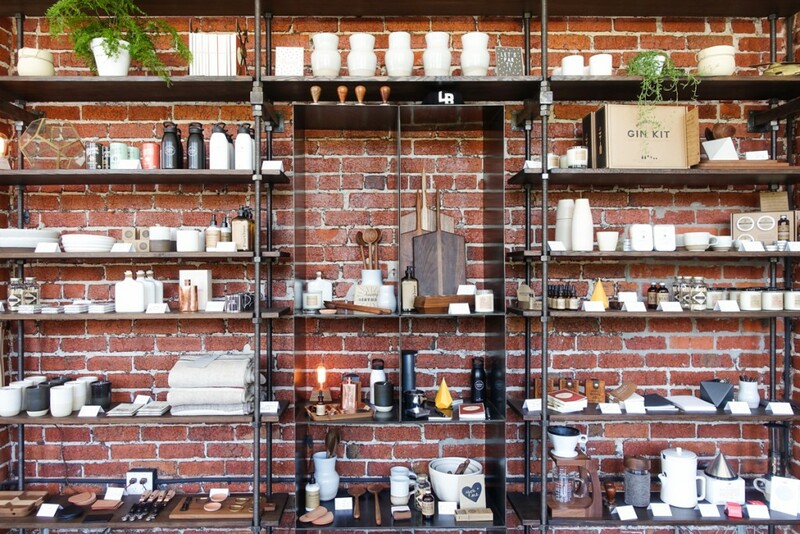 At the center of the space, stacked to the ceiling on custom shelving, is a curated collection of products covering a range needs and wants and all of them made in the United States. 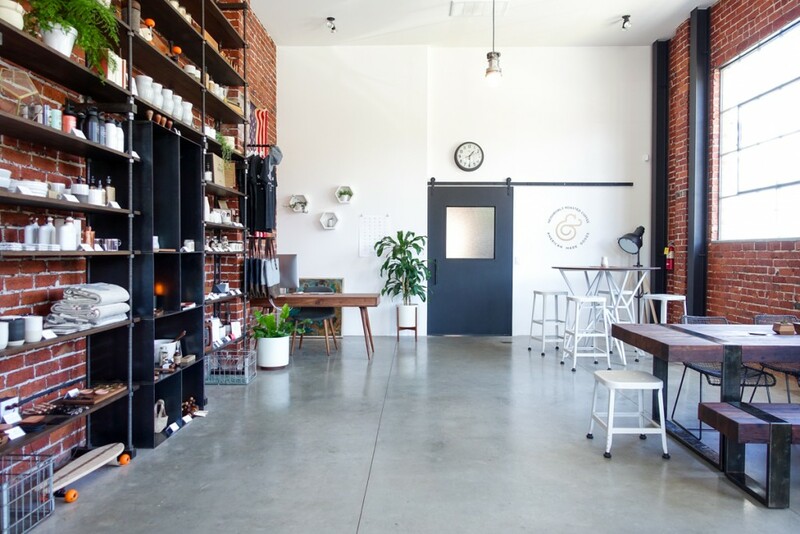 You’ll find everything on the wall from skateboards, soaps, flasks, blankets and candles to a selection of ceramic cups and coffee brewing gear. 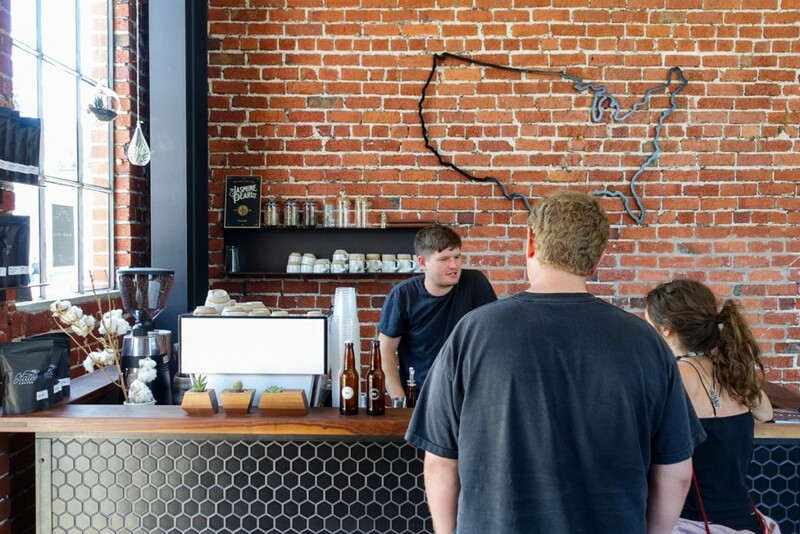 The mercantile side of States offers Gehrke a way to supplement the income from a coffee shop that will never be as high volume as one in a major city. 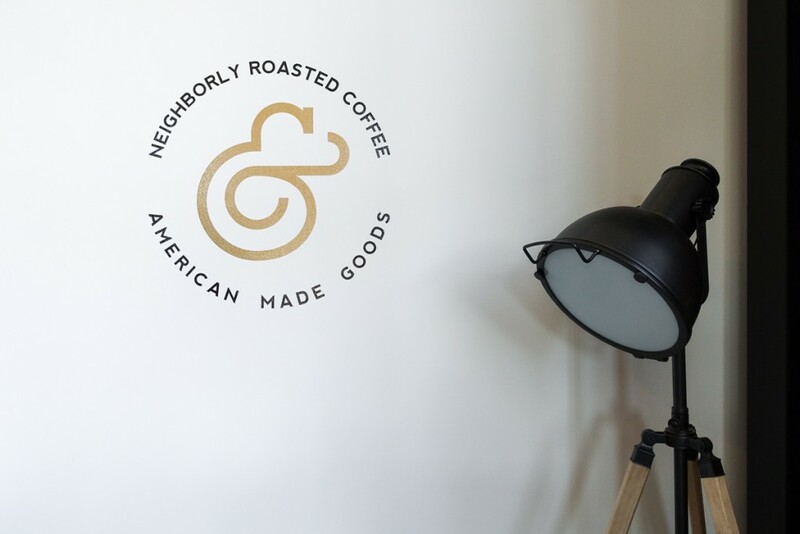 The customers of States Coffee also have a great place to come and buy American-made housewares and unique hand-crafted gifts. There are very few places I visit where I immediately want it to be my local shop, but States Coffee definitely makes that list. This spot represents an assemblage of Gehrke’s passions, values and work ethic all in one place, with additional highlights of inspiration picked-up elsewhere. 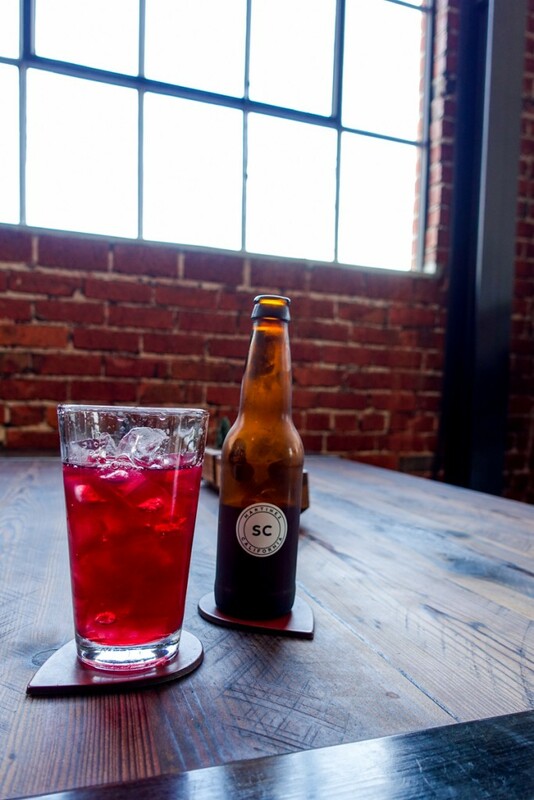 Before I left, Gehrke offered me one of their non-caffeinated drinks, a bottle of house-made fizzy hibiscus tea. It was absolutely delicious and unashamedly inspired by the fizzy hoppy tea served at G&B Coffee in L.A.
After handing me a freshly opened bottle of the bright red concoction, Gehrke explained how the best coffee experience he had during a recent trip to Los Angeles. was that glass of tea and it had lingered on his mind ever since. He wanted to create something similar, along with his other house-made syrups, that would offer a non-caffeinated alternative showcasing the same attention to flavor and quality as the coffee. The whole store is a showcase of quality with an atmosphere of classic American hospitality. Not only has Gehrke succeeded in the work he set out to do, but he was incredibly nice along the way. 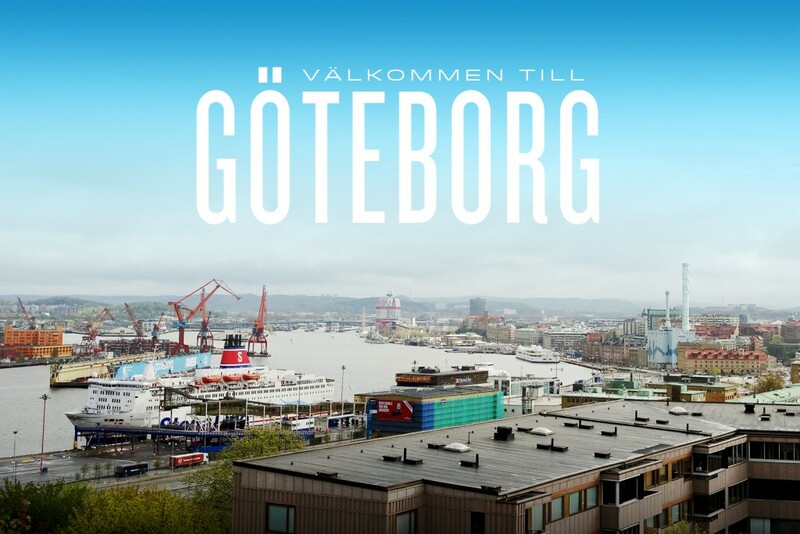 Nearly four years ago I packed up my clothing and coffee gear and moved from a sleepy town on the midcoast of Maine to the second city of Sweden—Gothenburg. 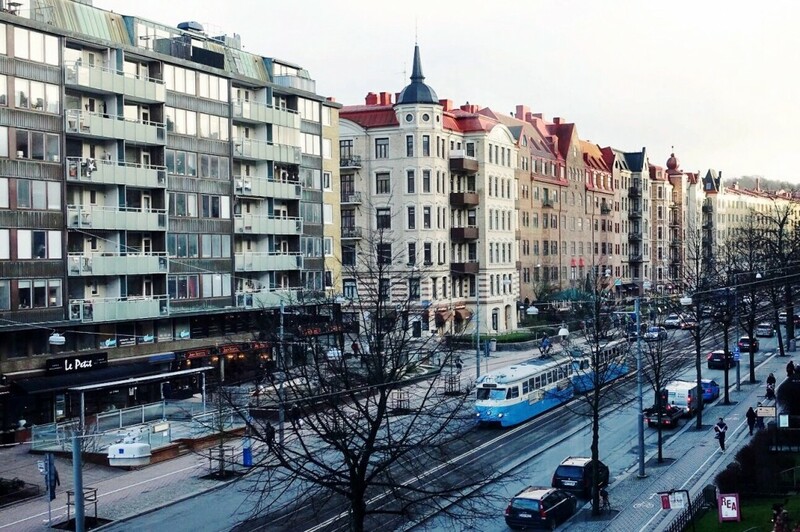 It’s one of those Swedish cities that most people have never heard of and it can be difficult to persuade people to visit when it’s so close to the more tempting capital cities like Stockholm, Copenhagen and Oslo. But Gothenburg has its own merits. It is the home of Volvo and world re-known bands like The Knife, Little Dragon, In Flames and Ace of Base. It has nearly a dozen soccer teams (ok, just three) and it’s an all-around charming place. During the first three and a half years I lived in this riverside city of half a million, it became my adopted home. The longest I have spent in one place during the last decade has been in Gothenburg and despite my continuous travels and current sojourn in Stockholm, I often look forward to my eventual return. Beginning this weekend, thousands of coffee professionals will descend upon the west coast of Sweden from all over the world for Europe’s largest specialty coffee event. 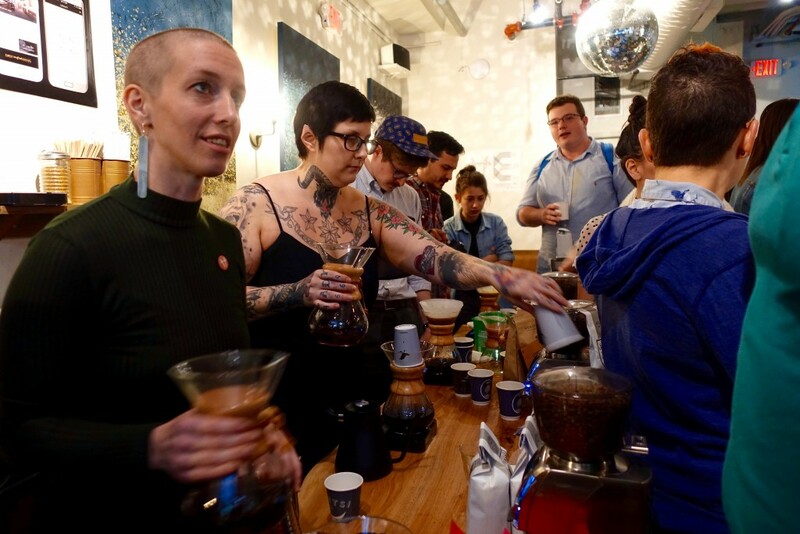 Alongside this annual tradeshow for the Specialty Coffee Association of Europe, five world coffee championships will also take place—the World Brewers Cup, World Cup Tasters, World Coffee Roasting, World Latte Art and World Coffee in Good Spirits. The small but ambitious coffee scene in Gothenburg has been anticipating this summer for a long time and we’re really excited to welcome you all to Sweden. 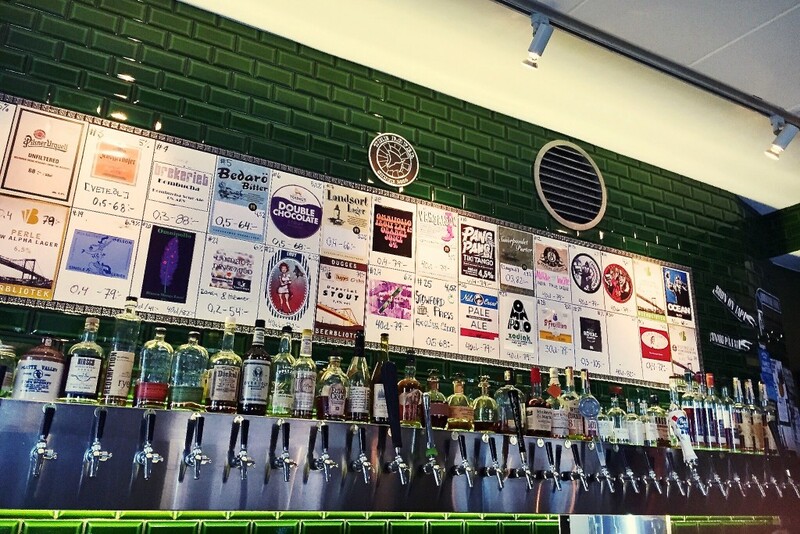 Below I’ve compiled a list of places where you will find some of the best coffee, beer, cocktails and food in Gothenburg. Most of the city is incredibly walkable, but you can buy a 3-day unlimited ticket for the busses, ferries and trams for 170sek ($20) or you can buy a 3-day pass to the city’s bike share program for 25sek ($3), which is an awesome and cheap way to enjoy the city when the weather is nice. I recommend using Google’s offline maps so you can find your way around when you aren’t connected to the grid. If you are in need of internet, you’ll find free wifi at the numerous Espresso House locations, along with their own approachable line of coffee roasted by Solberg & Hansen. I hope you enjoy your visit and all of the wonderful things that Gothenburg has to offer. Vi ses snart! Note: everything mentioned in this article can be found on the map at the bottom. 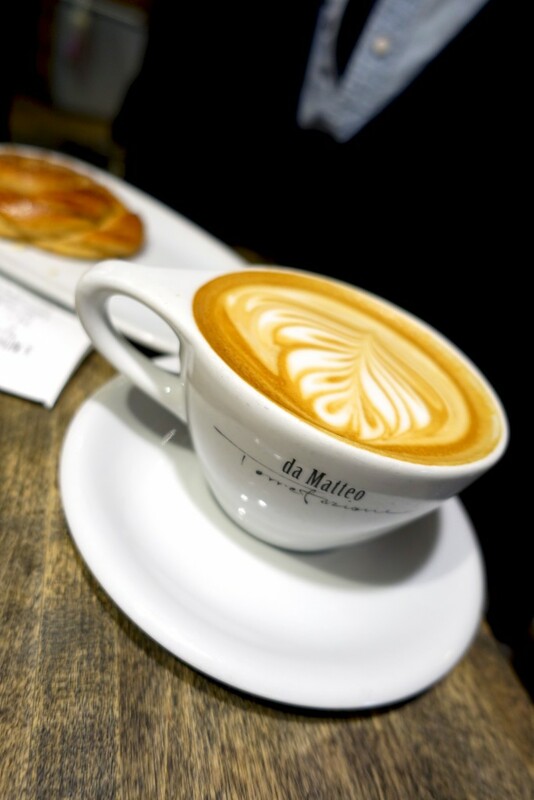 Da Matteo, and its founder Matts Johansson, are the reason specialty coffee exists in Gothenburg and has been one of the driving forces for coffee events around Sweden and abroad. 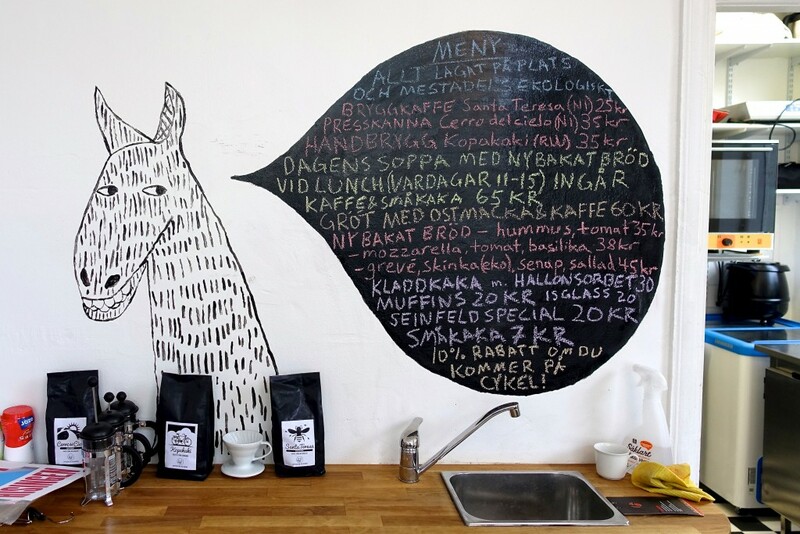 Just this week the coffee roaster and baker were named Sweden’s Best Cafe by White Guide (a Swedish version of Zagat) and they won the Nordic Roaster competition last year. They also have baristas competing in both the World Cup Tasters and World Latte Art Championships next week. There are four locations to visit—two of them share a sunny courtyard and the others are just a short walk away. 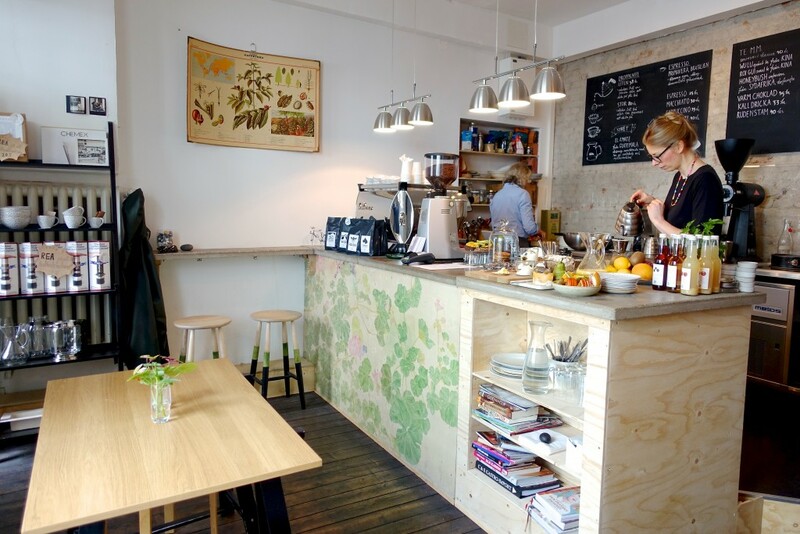 Kale’i Kaffebar is a hidden gem in the heart of downtown Gothenburg tucked away in the back of a quiet courtyard where you’ll also find a nice champagne bar, juice bar and record store. Not long after owner Elin Conradsson met Per Nordby in Oslo, who was roasting for Kaffa at the time, they both returned to Gothenburg. Per opened his own roasting company sharing his name and not long after Kale’i opened and became a lovely showcase for Per’s coffee. You’ll find Elin behind the bar nearly every day where she simultaneously brews coffee and prepares fresh baked breads and other tasty treats. 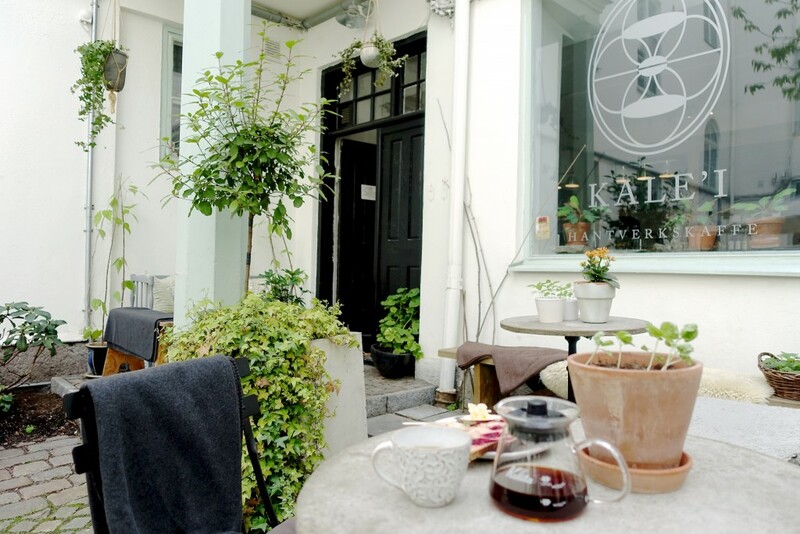 Viktors Kaffe is located just around the corner from Götaplatsen, a large public square where you’ll find the Gothenburg Museum of Art, City Theater, City Concert Hall and the Public Library. It’s located on a quiet side street that provides an oasis from the busy Avenyn shopping street nearby. 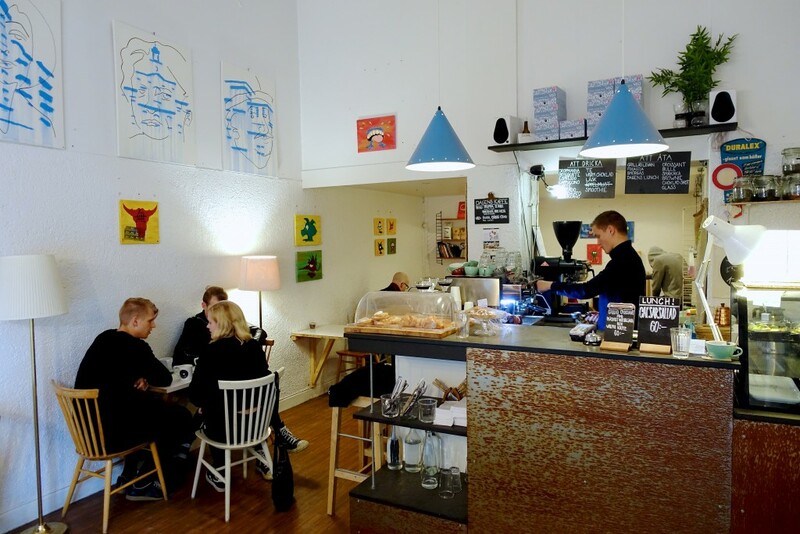 Viktors represents the hip side of coffee in the city, with fresh local art on the walls, good jams, and a mix of vintage designer furniture to compliment a variety of coffee from the Stockholm roaster Johan & Nyström. 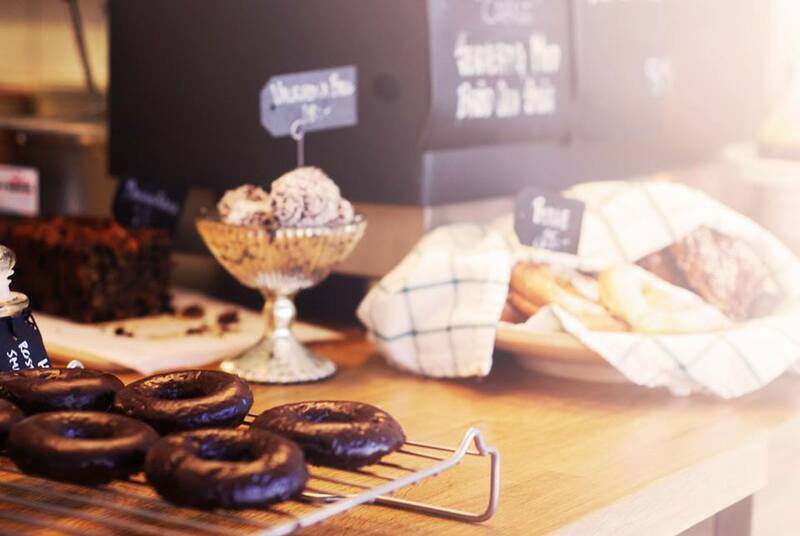 You won’t find pour overs and over-the-top coffee geekery at this stylish neighborhood cafe, but you will find delicious lunches and award winning pastries alongside batch brews and espresso drinks made with Helsingborg’s Koppi Coffee. There’s also a nice patio overlooking a pedestrian street, offering a glimpse of the everyday lives of Swedes in Majorna, one of Gothenburg’s more eclectic neighborhoods. 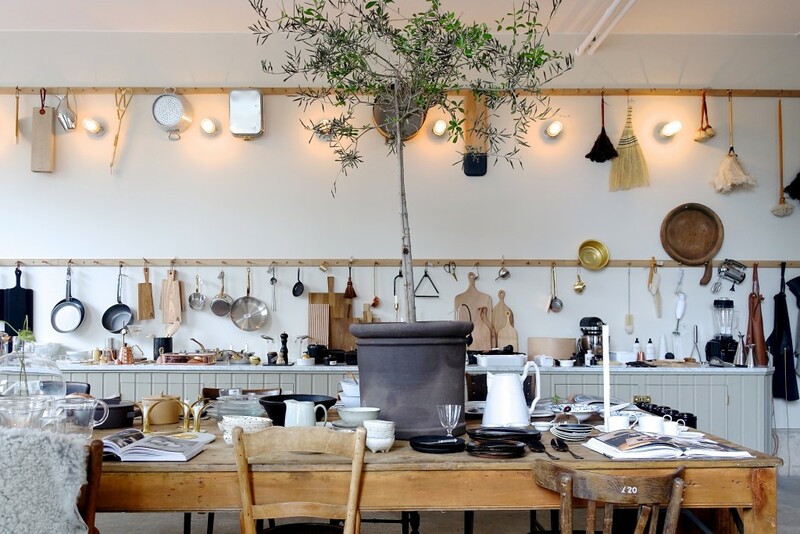 TheKitchen was formerly a lovely little café called Con Amor, run by two best friends. When the previous owners decided to move on to something new, a former Da Matteo barista, Setareh Shoghi, and her sister took over. They changed the name and freshened up the inside, but the spirit is much the same. TheKitchen now serve drinks made with the award-winning Drop Coffee from Stockholm and have a nice selection of cakes, pastries and sandwiches—including vegan and gluten free options. 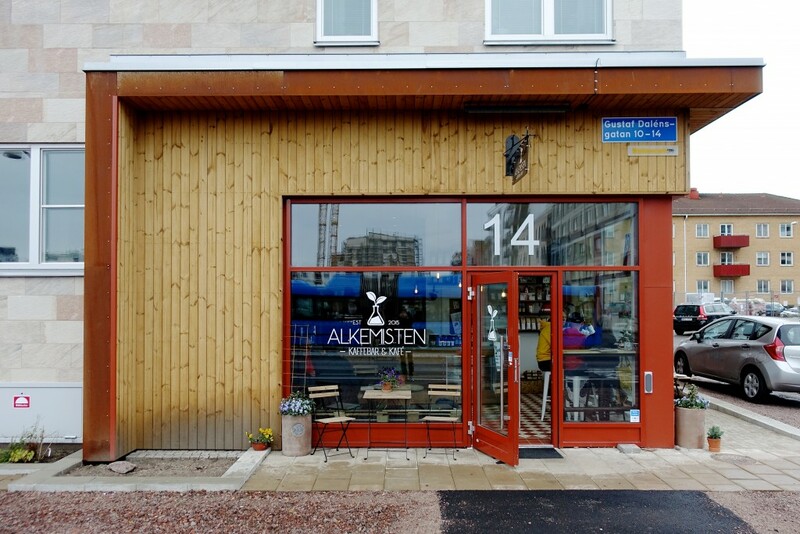 Alkemisten is one of the newest additions to Gothenburg and one of the first to open on the north side of the river earlier this year. 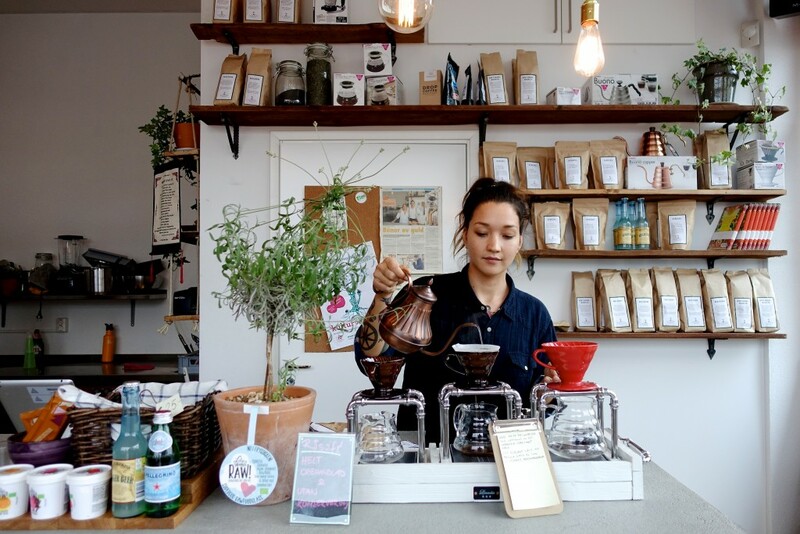 The shop is run by a brother and sister who brew coffees roasted by a friend of theirs in Lund. The cafe sits on the corner of a new building in Kvillebäcken, an eco-development on the island of Hisingen that has been (and still is) a construction zone since I moved to Gothenburg. 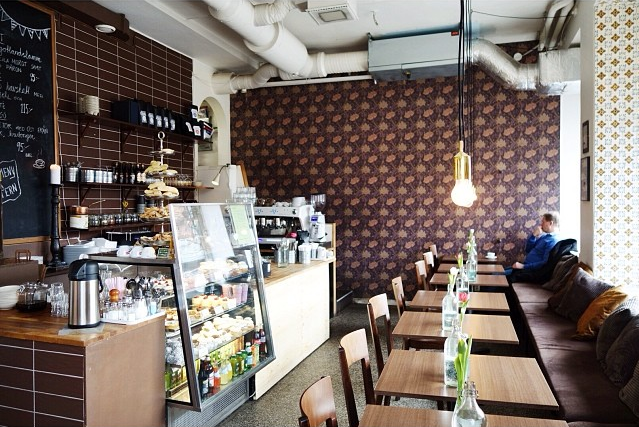 It’s a nice spot for the residents of Hisingen to gather, enjoy single origin coffees and healthy organic foods. Llama Lloyd is a quaint little shop that opened around the same time as Kafé Alkemisten and is located just a few blocks away on Hisingen. The space contains little more than a small bar with a Marco batch brewer and the owner, Robin Olsson, making pour overs of Per Nordby coffee. Robin also uses the shop’s walls to host local art and keeps a set of bike tools on hand for anyone who might need to have their bicycle tuned up while they sip their coffee. The experience inside is quite intimate, but there are also several tables out front if you’d like more space and fresh air. 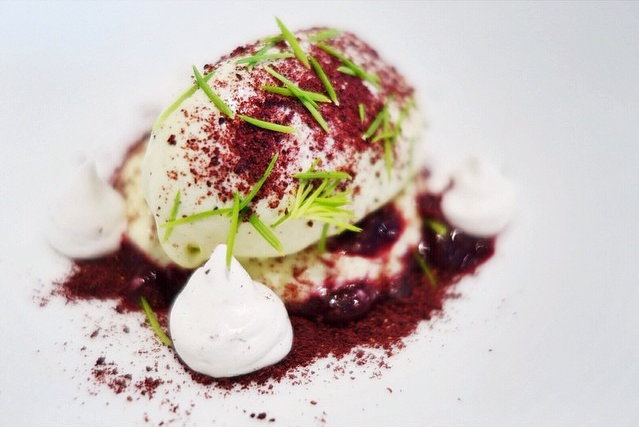 In Gothenburg you’ll find a range of food, from kiosks to Michelin Stars. 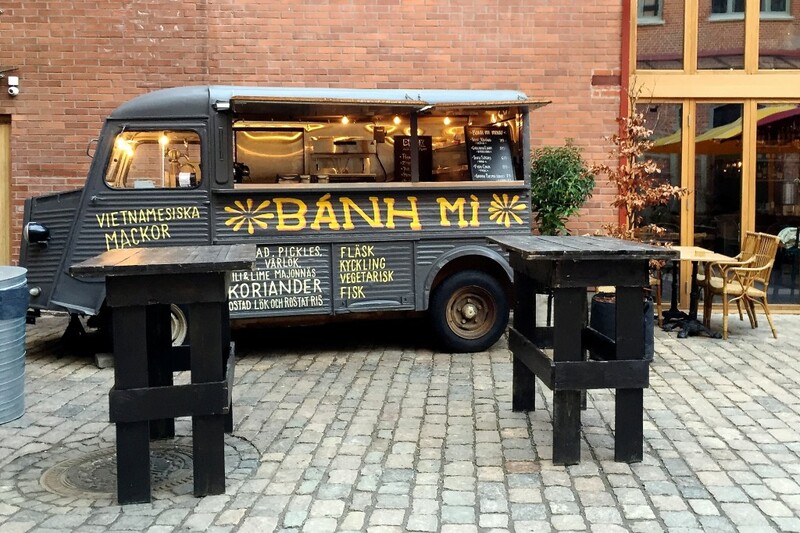 With a recent change in the local laws, food trucks have also become quite popular, with new ones popping up each month. Below I’ve listed a range of the best places to eat and categorized them by cost levels. Almost every where you go will accept debit cards, even the food trucks, so there is little need to carry cash. A note on tipping: it’s not really necessary but it’s appreciated—8% to 12%. Although at the nicer restaurants, I often tip more because of the service. 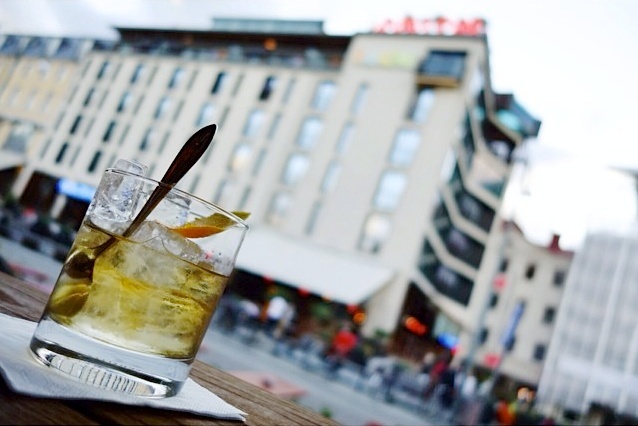 Gothenburg has a lot of bars even though the price of alcohol will likely shock everyone living outside of Scandinavia. This is partly done to prevent Scandinavians from drinking themselves to death during the long dark winters and partly because everything is more expensive here. If you’re really into wine, your best bet will be booking a table at one of the restaurants listed above in the high-end ($$$) category, for a nice selection of natural & biodynamic wines, you should also check out Bar Centro. Swedes love to shop and you will find no shortage of places to indulge yourself. You will find all the staple Swedish brands like H&M, Nudie and Cheap Monday, along with many others you may not have heard of yet. There are also an endless number of vintage and thrift stores sprinkled throughout the shopping districts. So bring an empty duffel bag, because you will be tempted. Related Events: A list of events taking place next week that you won’t want to miss. 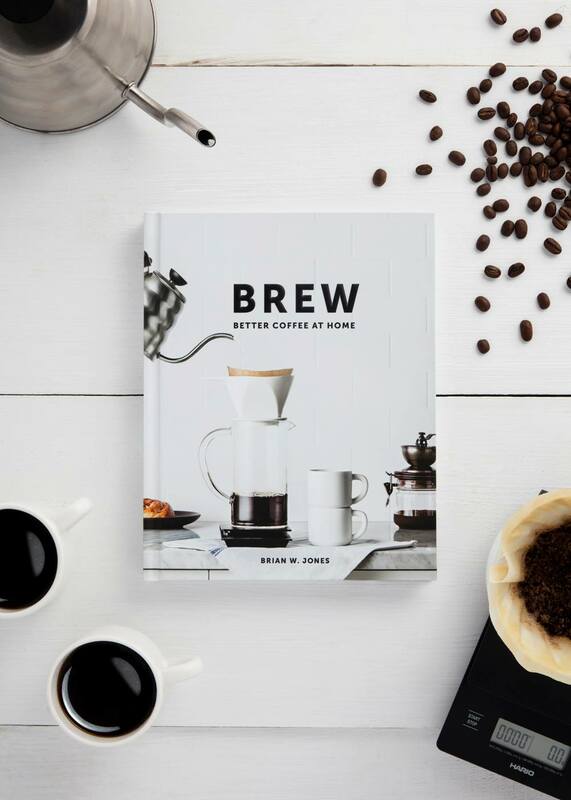 With one week until Hanukkah begins and two weeks before Santa arrives, there’s still time to get the perfect gift for the coffee lover in your life. From the coffee curious to the barista champ-in-training, there’s something on this list for everyone. 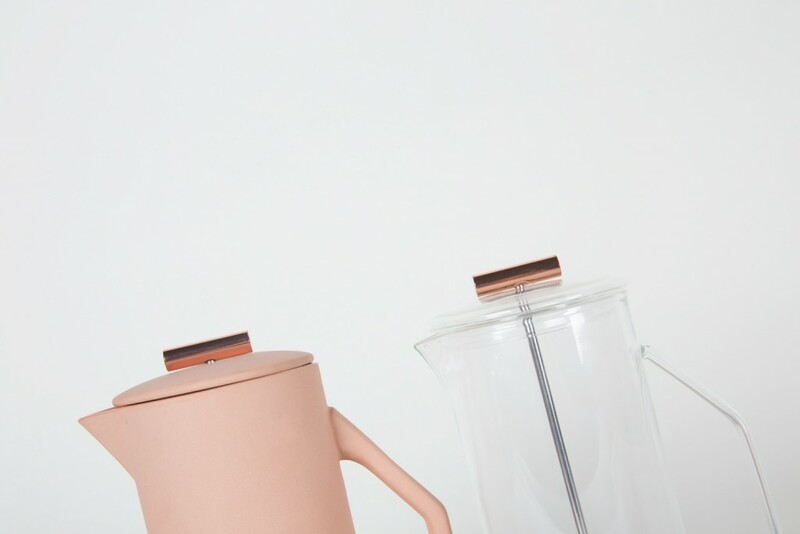 Just like in years past, the DCILY gift guide is a selection of the most desirable products I’ve come across that any coffee lover would be stoked to have. 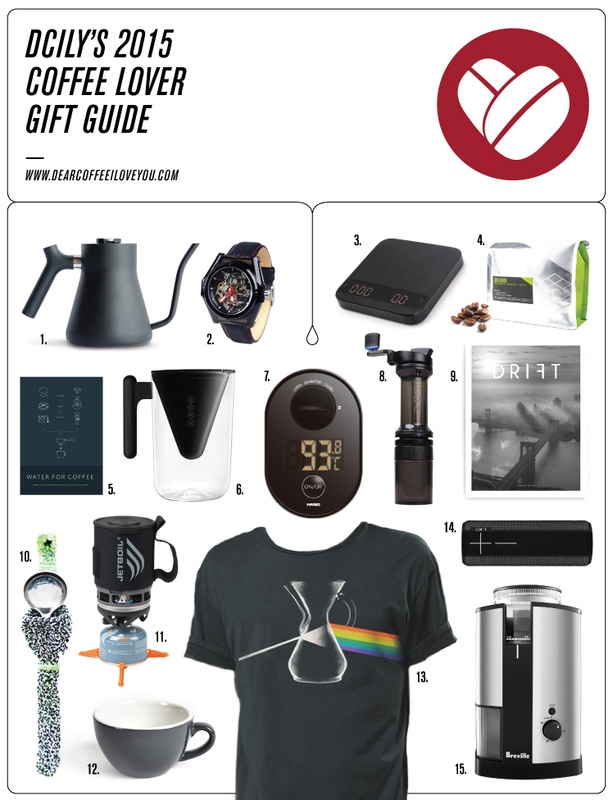 Grab a fresh cup and your credit card and enjoy the 2014 edition of DCILY’s Coffee Lover Gift Guide™. Next Saturday in the capital of Lithuania, a unique inspiration-driven coffee conference called “Dark Times” will take place for its second year in a row. 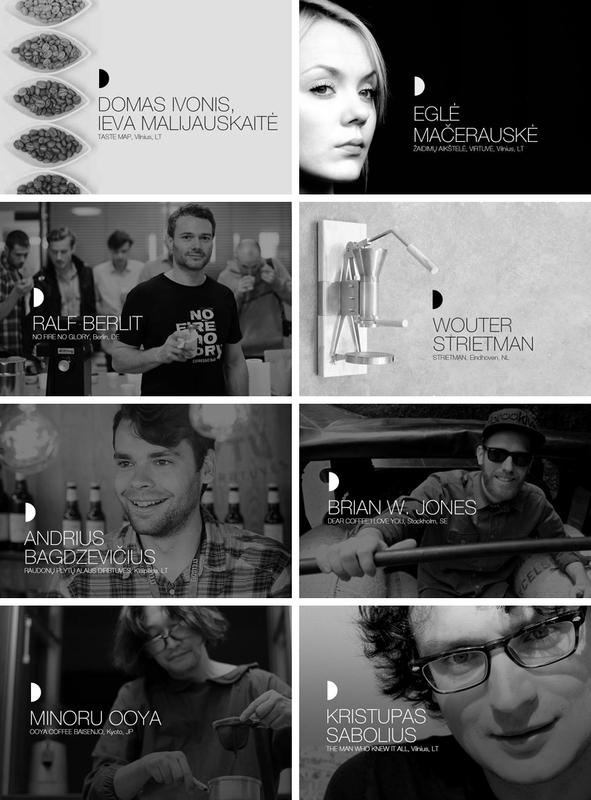 The event, organized by Emanuelis Ryklys, founder of the Lithuanian micro-roaster Crooked Nose & Coffee Stories will take place all day at the Vartai gallery in downtown Vilnius on October 25th. 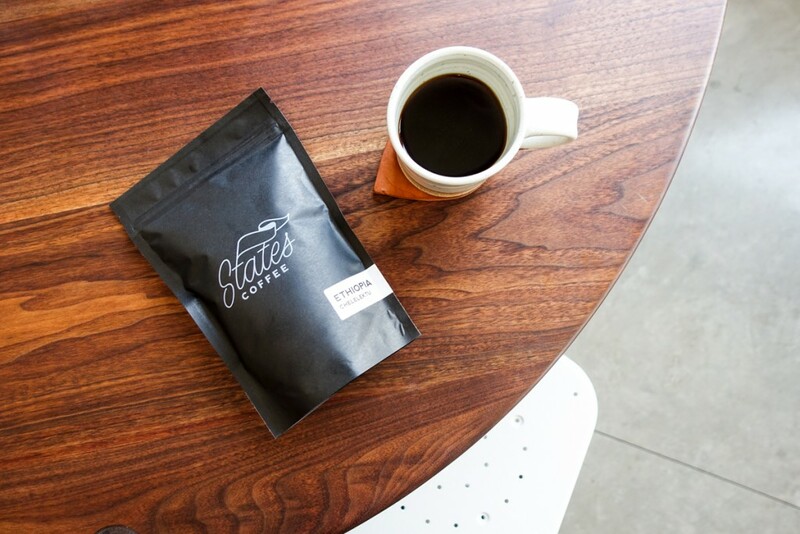 Dark Times is not meant to be a coffee industry or insider-only experience, but one that is approachable by anyone who enjoys coffee and the culture that surrounds it. The list of speakers range from those working directly with coffee, to those who have an outside perspective, but still love it all the same. There will be five presentations by Lithuanian speakers, along with three international speakers, including myself. Ryklys, who use to work in the world of advertising and design before starting Crooked Nose, understands the inherent value of coffee rituals and the stories we share with each other over a cup. Each bag of coffee he sells comes with its companion story and the design for both Dark Times and Crooked Nose combine a bit of the mysterious curiosity found in Lithuanian folklore. The conference celebrates the theme of stories by inviting a diverse collection of speakers who can provide a variety of perspectives with their own unique coffee experiences. Domas Ivonis and Ieva Malijauskaitė – Founders of Vilnius-based Taste Map Coffee Roasters, both Domas and Ieva have been successful in the Lithuanian Barista and Latte Art competitions and will be sharing a presentation on a variety of coffee tastes and their subtle aromas. Eglė Mačerauskė – Editor-in-Chief and photographer of the Lithuanian food magazine “Virtuvė”. Eglė will share her love of coffee and the stories from her flavor-filled journeys. Ralf Berlit – Co-Owner of the café “No Fire, No Glory” in Berlin and Barista Camp instigator, Ralf will share stories from his experience with the coffee culture in Berlin. 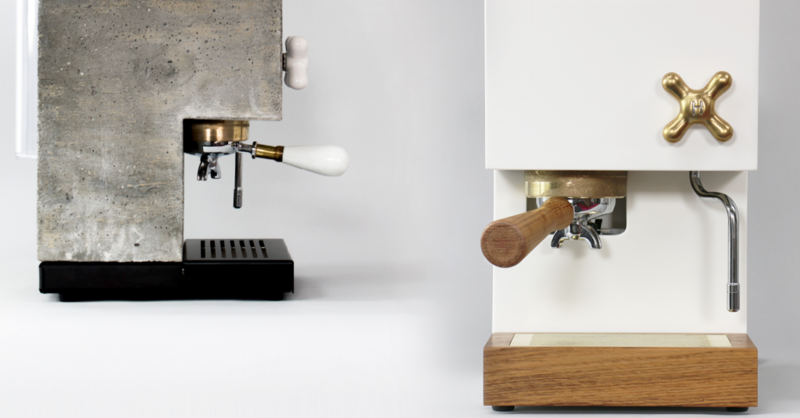 Wouter Strietman – The Dutch creator of the Strietman ES3 espresso machine will talk about his machine that brings together design, craftsmanship and coffee. Andrius Bagdzevičius – Brewer at the experimental Lithuanian beer brewery “Raudonų Plytų Alaus Dirbtuvės,” Andrius will talk about his process of developing a new beer infused with coffee and discovering the nuances in the taste. 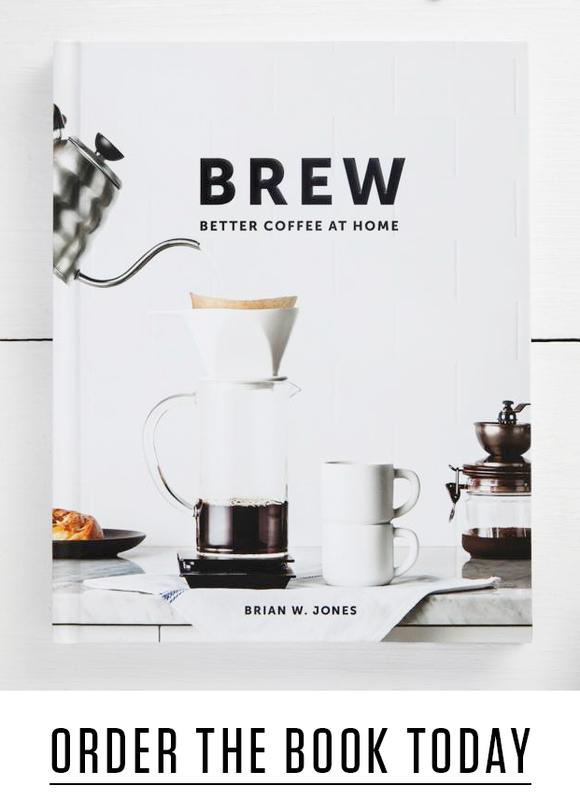 Brian W. Jones – A designer, writer and founder of “Dear Coffee, I Love You,” a specialty coffee website that shares coffee experiences from all over the world. Brian, who was born in the US and now lives in Sweden, will discuss the visual side of coffee, specifically packaging design. Minoru Ooya – Founder of a roastery and two cafés in Kyoto. Mr. Ooya is a coffee roaster and master with nearly 30 years of experience and will share stories of coffee culure in Japan. Kristupas Sabolius – A philosopher and writer, whose script for “The Gambler” was awarded Film of the Year in Lithuania this year. Kristupas will talk about coffee as a source of creative inspiration. 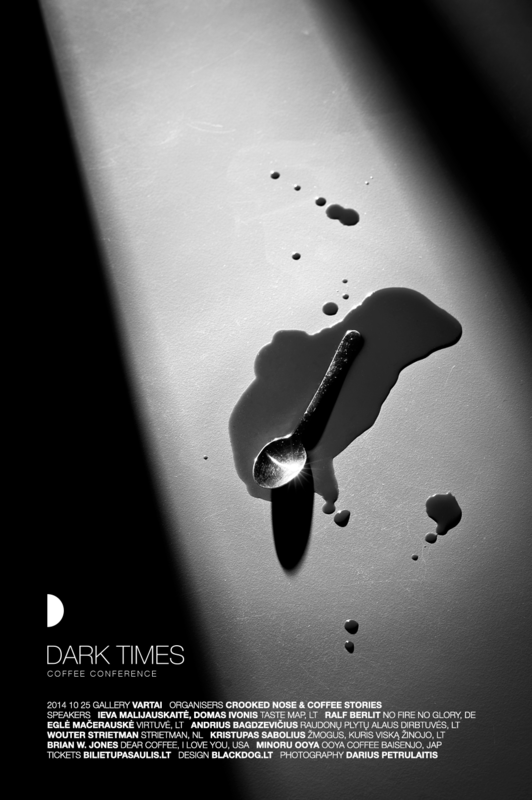 Find out more about Dark Times on their website and Facebook. If you will be in Vilnius or interested in visiting a great city this weekend, you can buy tickets for the event at Bilietų Pasaulis. @coffeetographer @timwendelboe But thank you. @tonx Same, but with Silicon Valley opening credits.